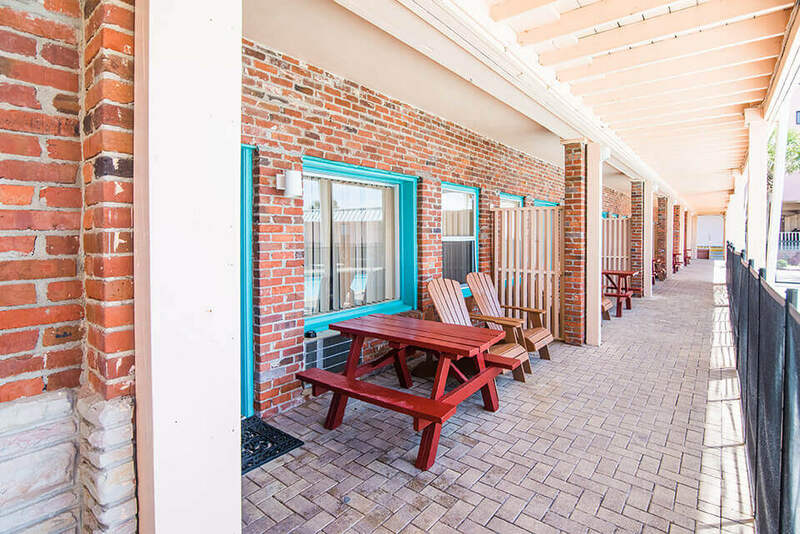 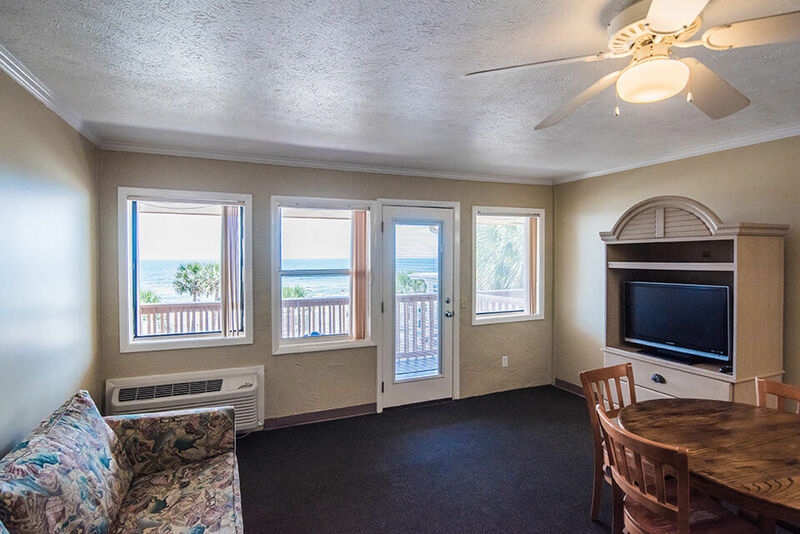 2 extra long full beds, refrigerator, microwave, wet bar, beach level. 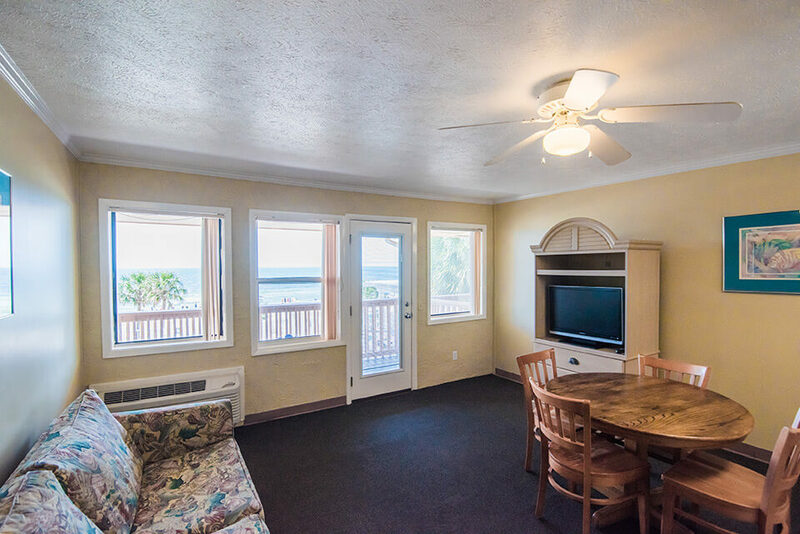 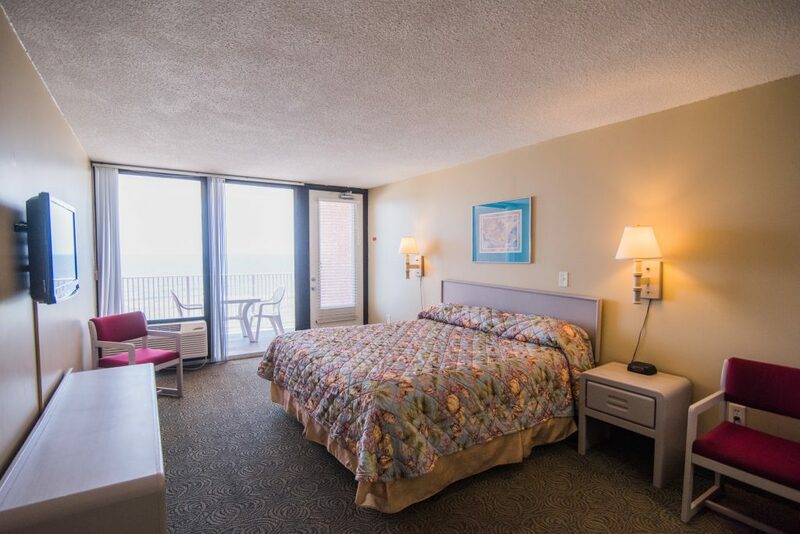 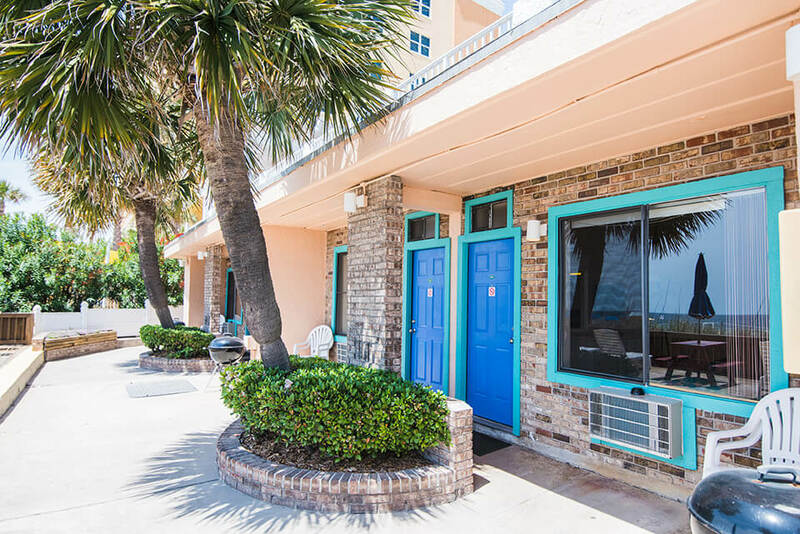 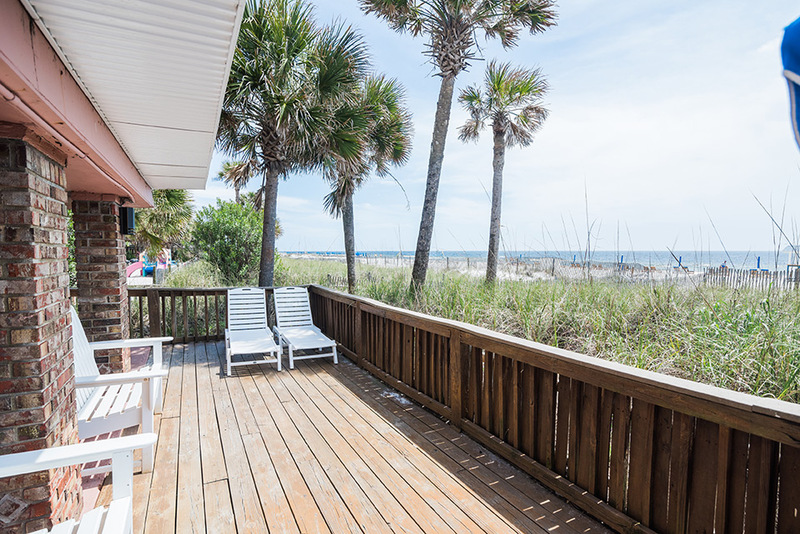 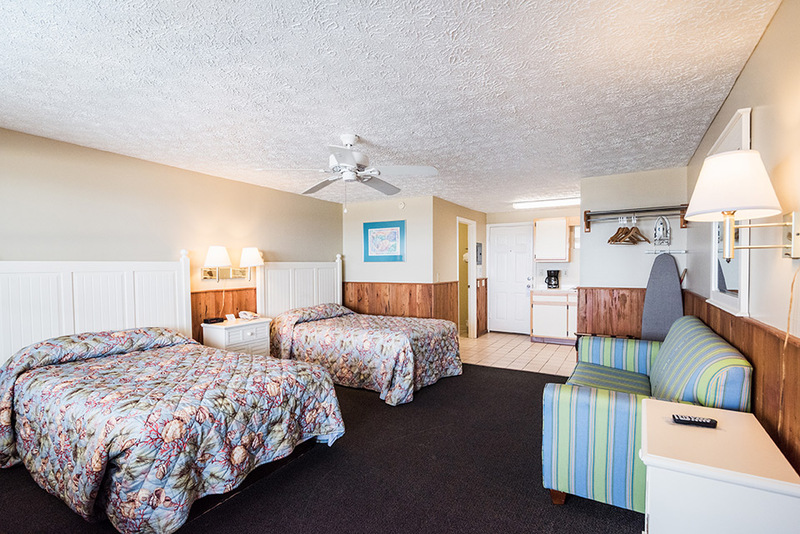 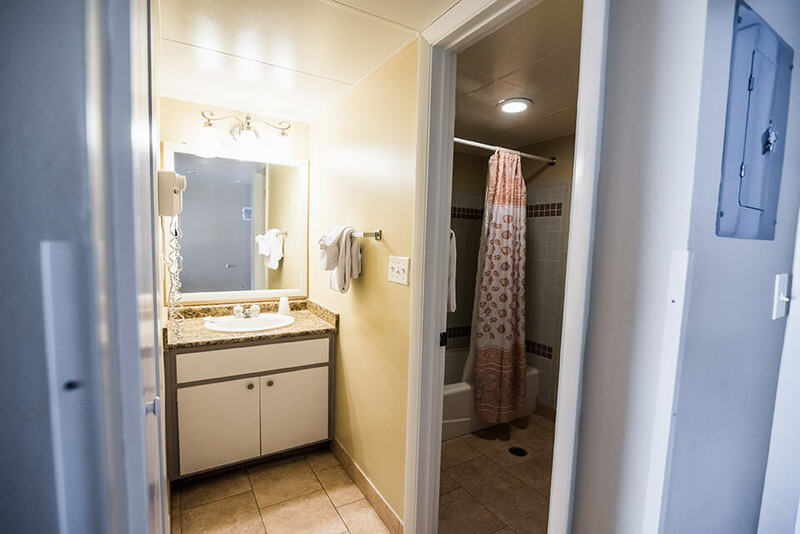 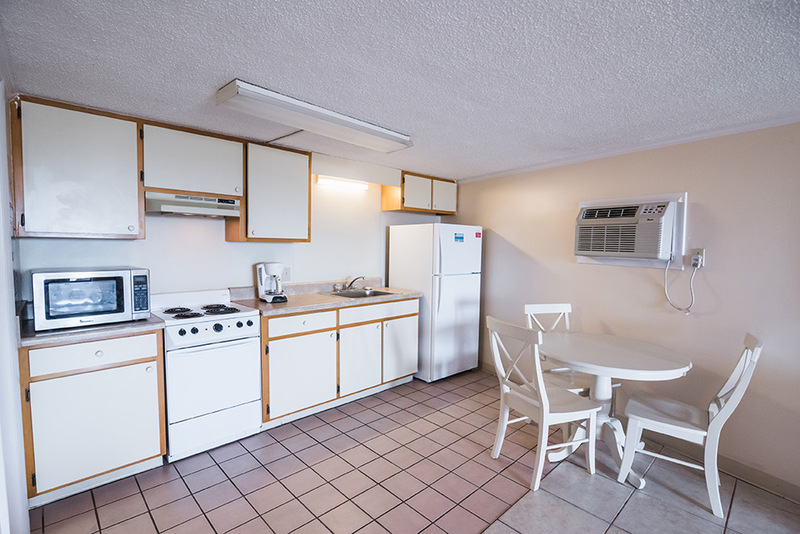 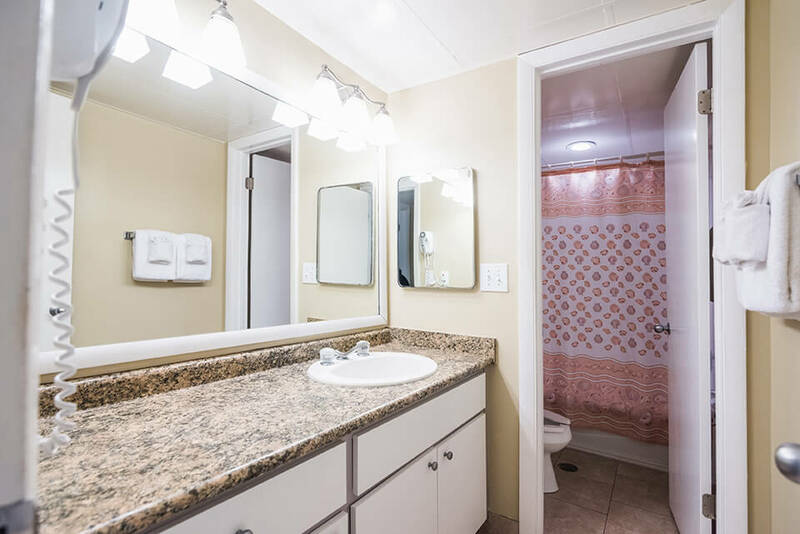 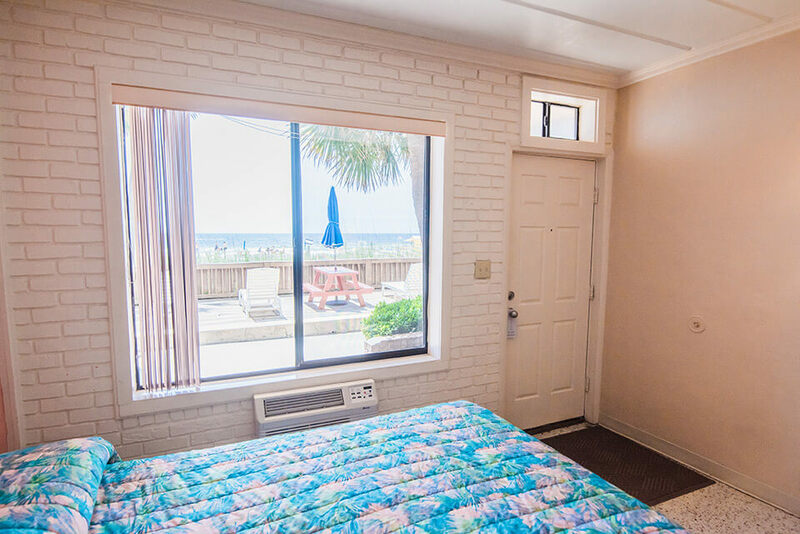 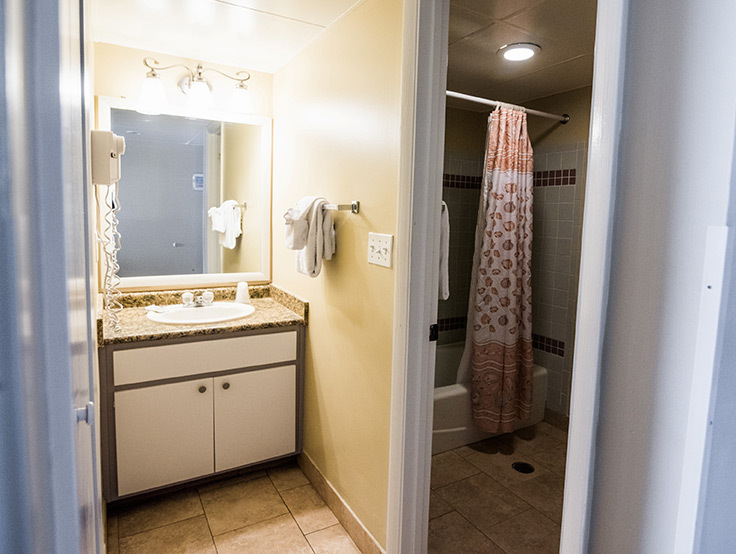 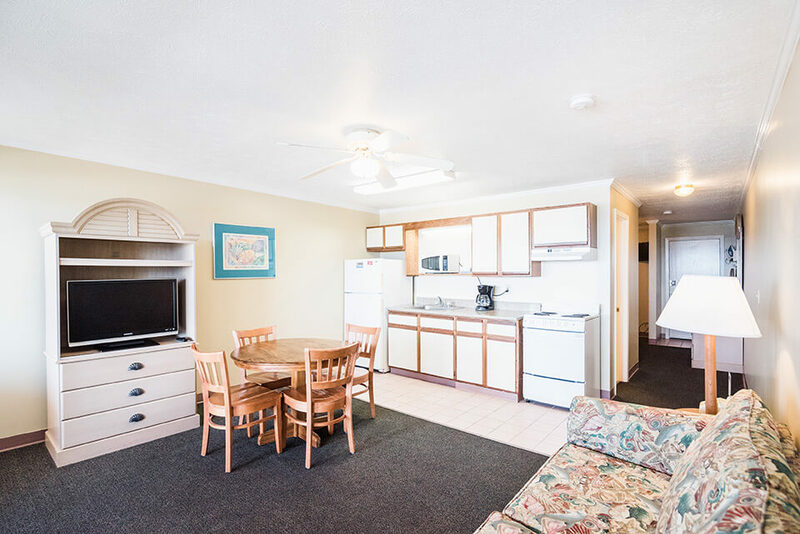 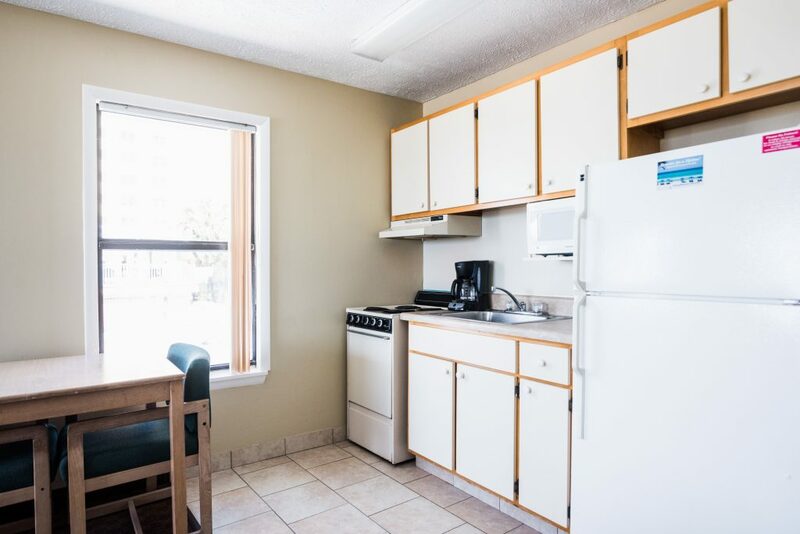 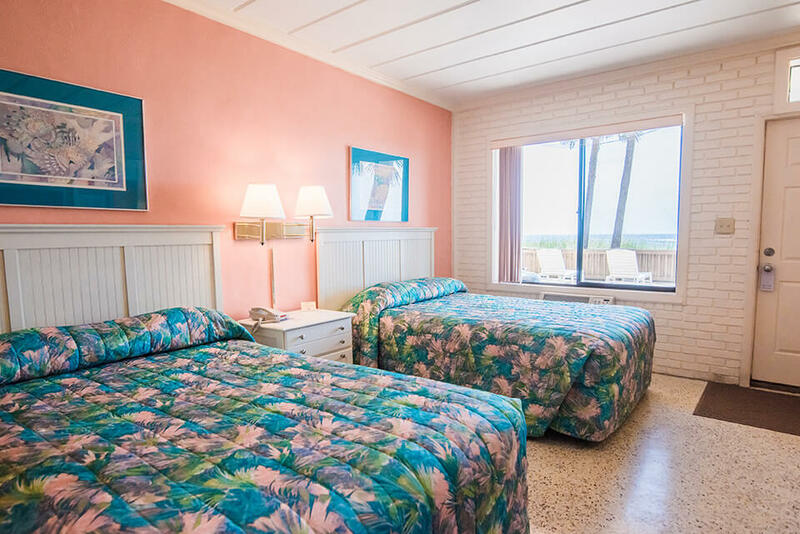 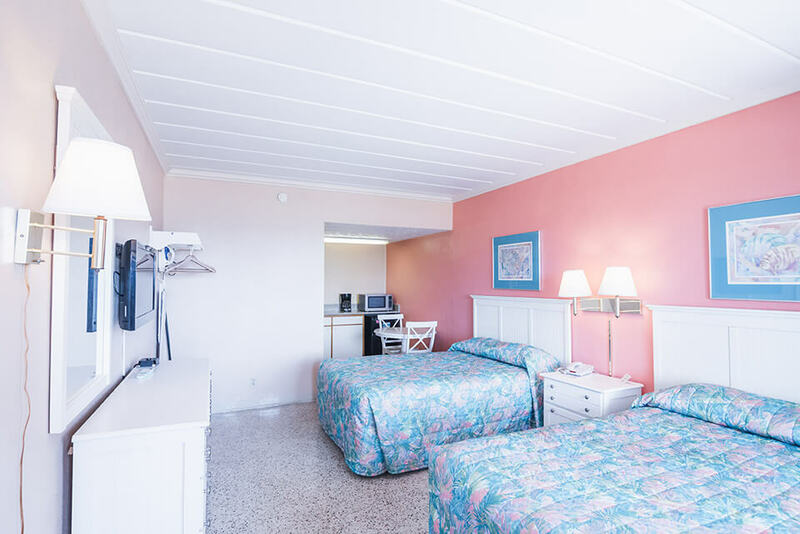 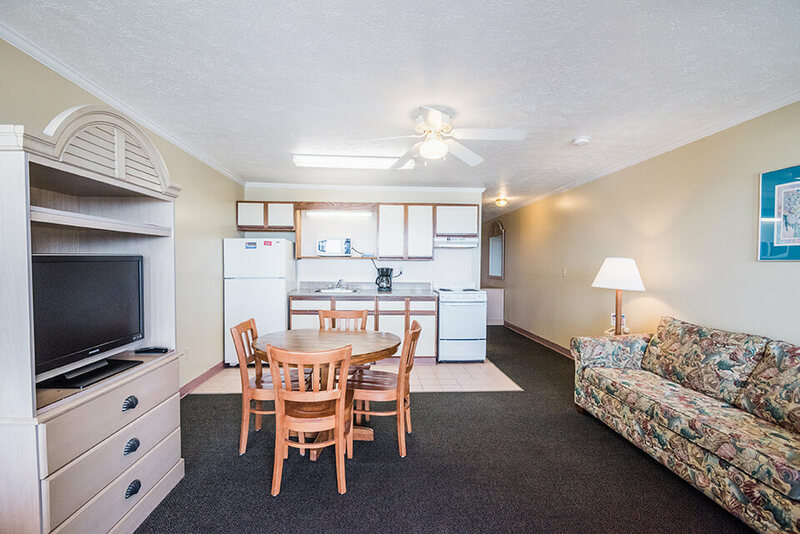 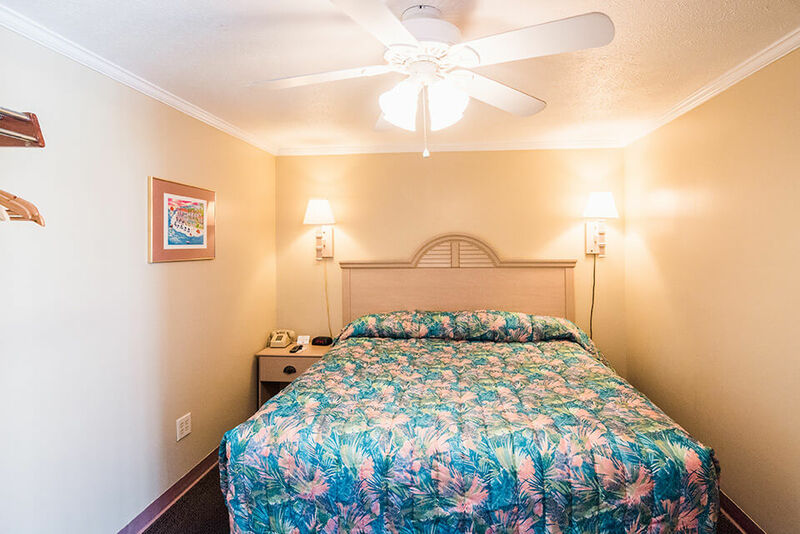 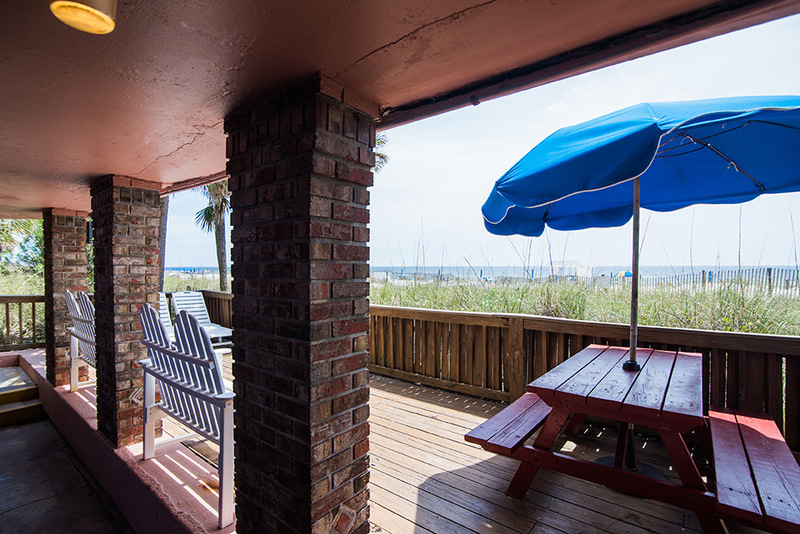 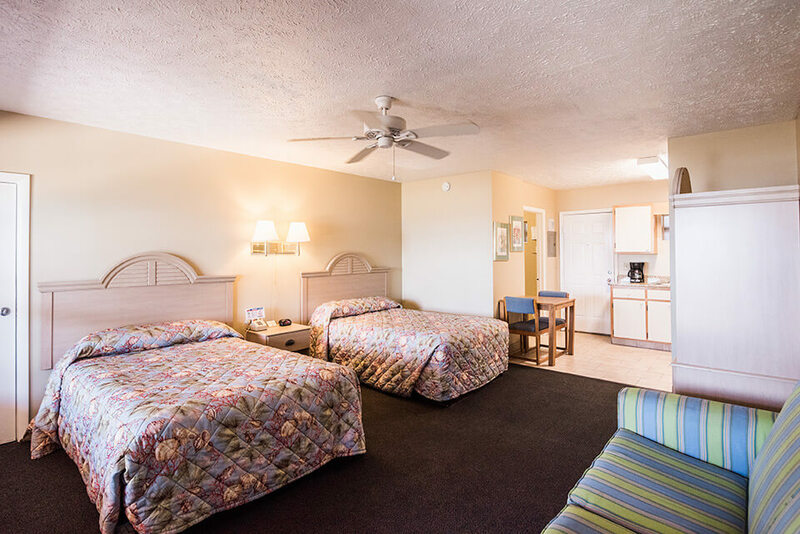 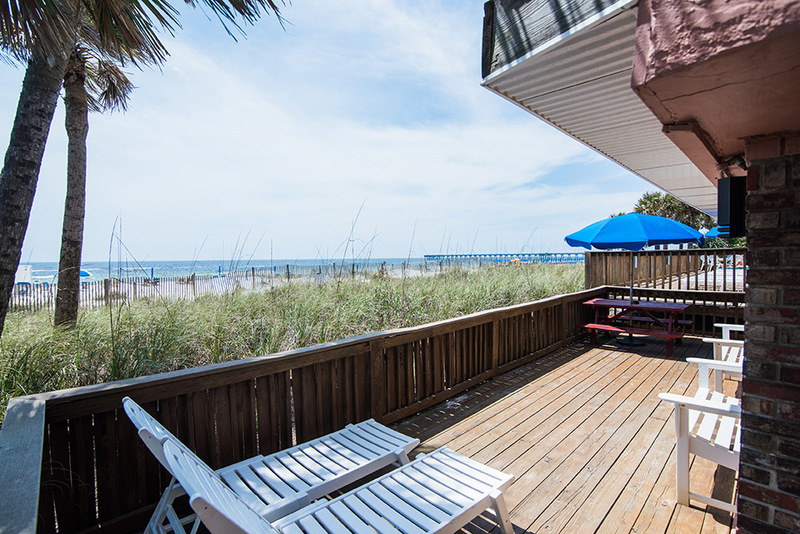 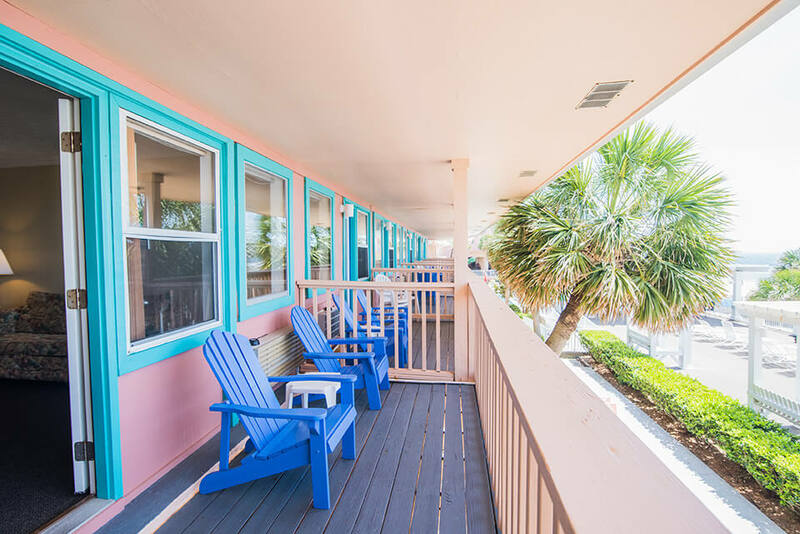 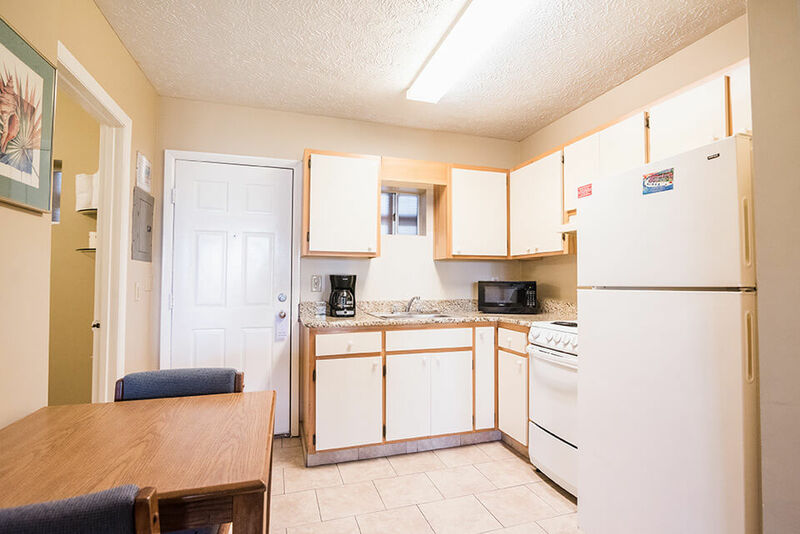 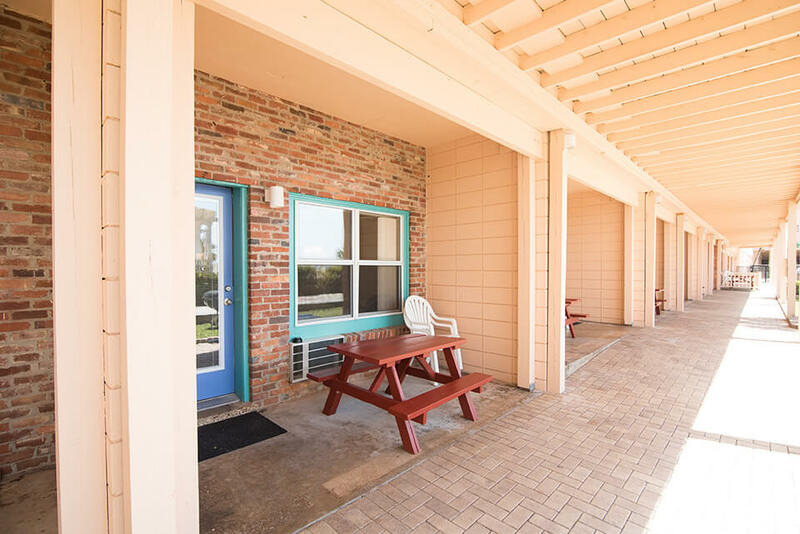 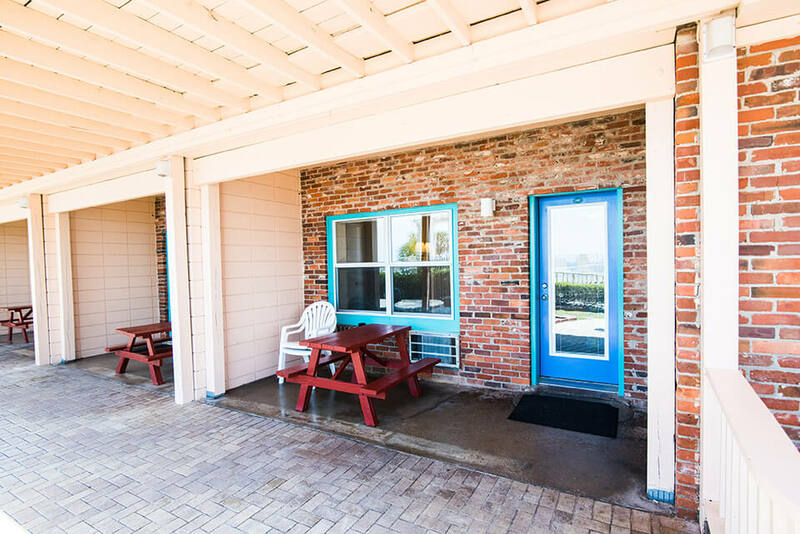 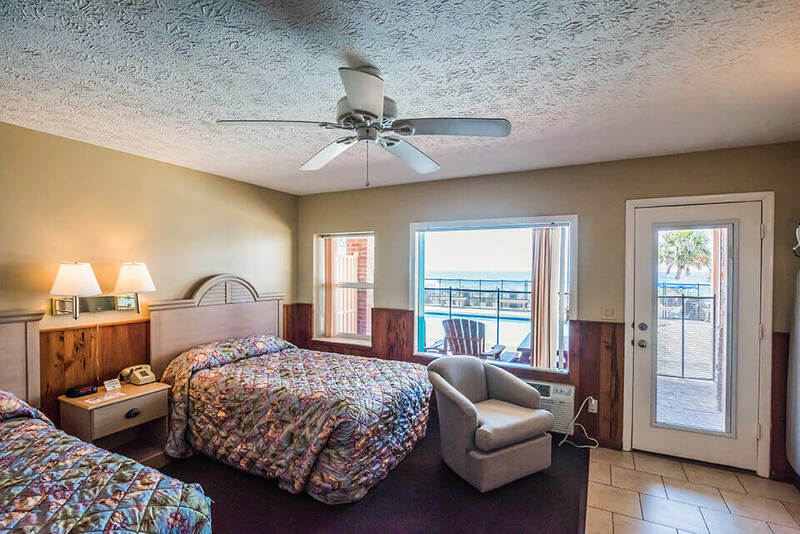 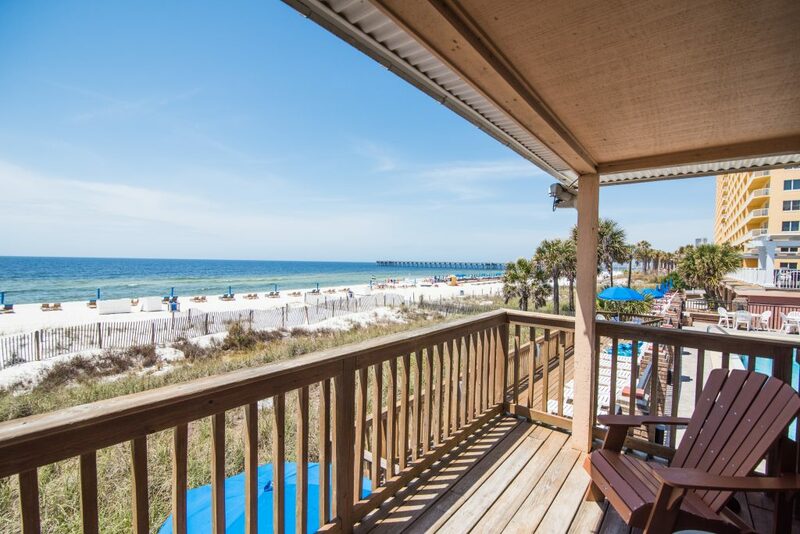 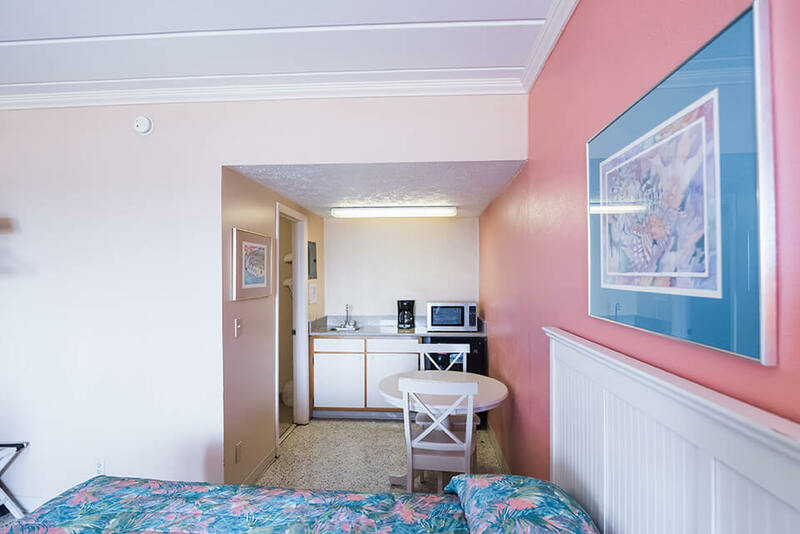 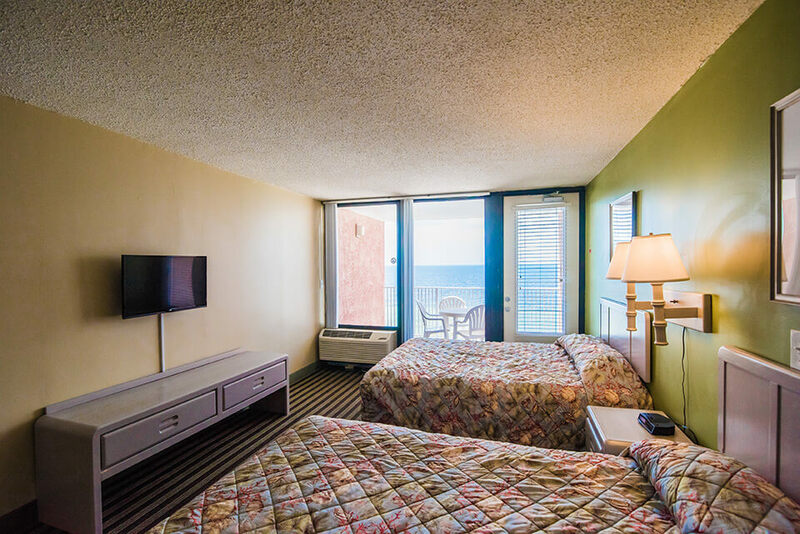 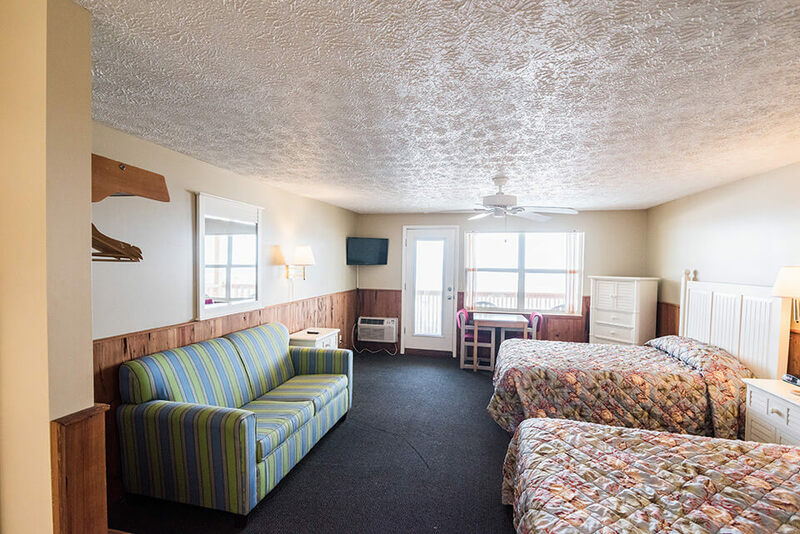 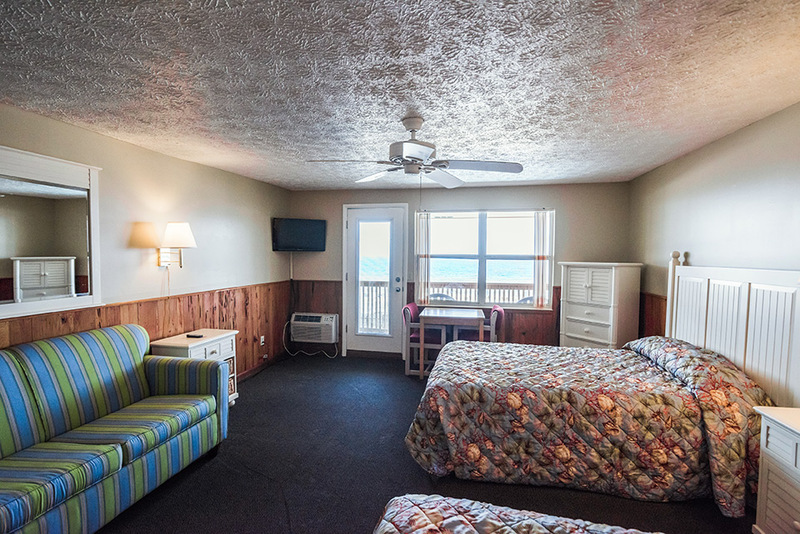 2 connecting rooms, 2 baths, 2 full size beds in each room, kitchen, beach level, private sundeck, sleeps 8 rate based on 4 adults. 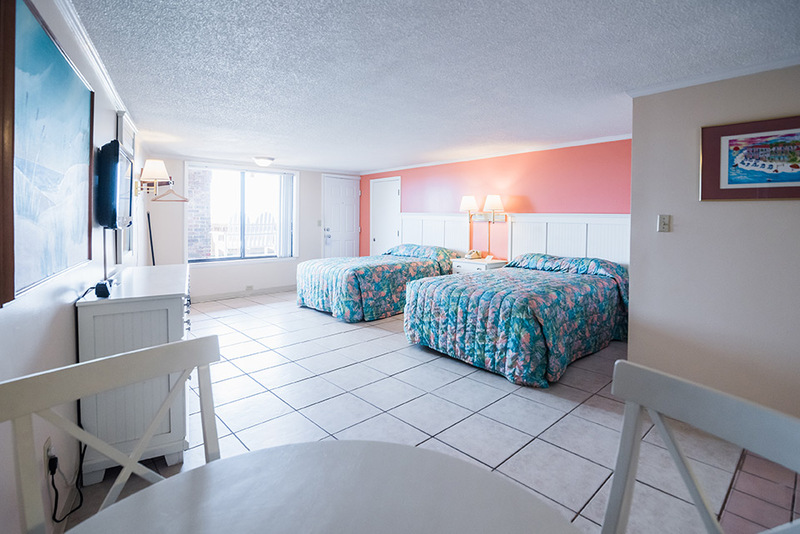 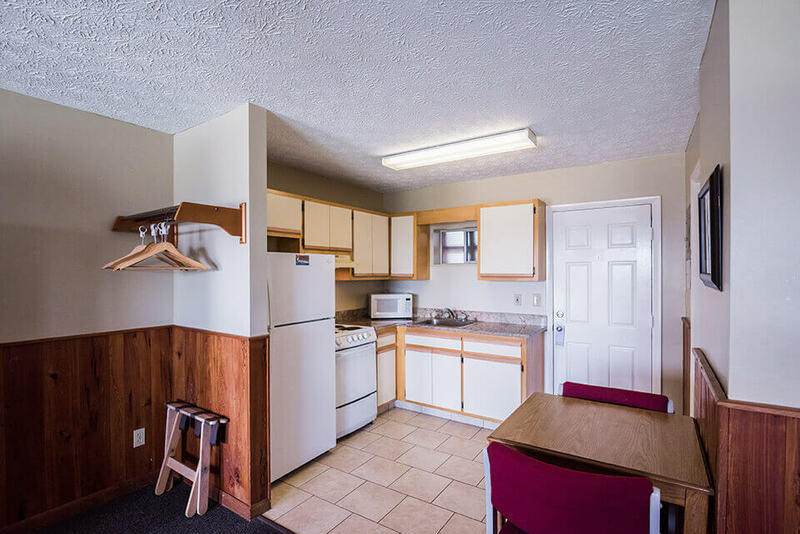 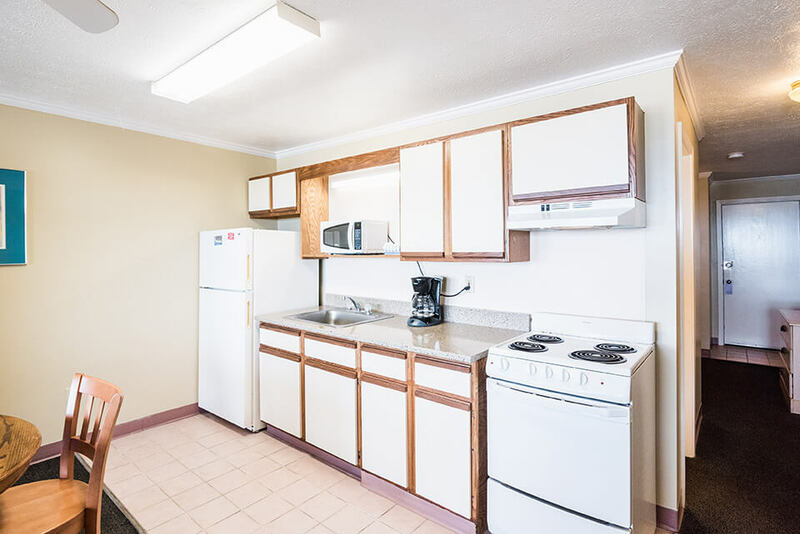 1 king or 2 queen beds, kitchen, balcony, 2nd floor. 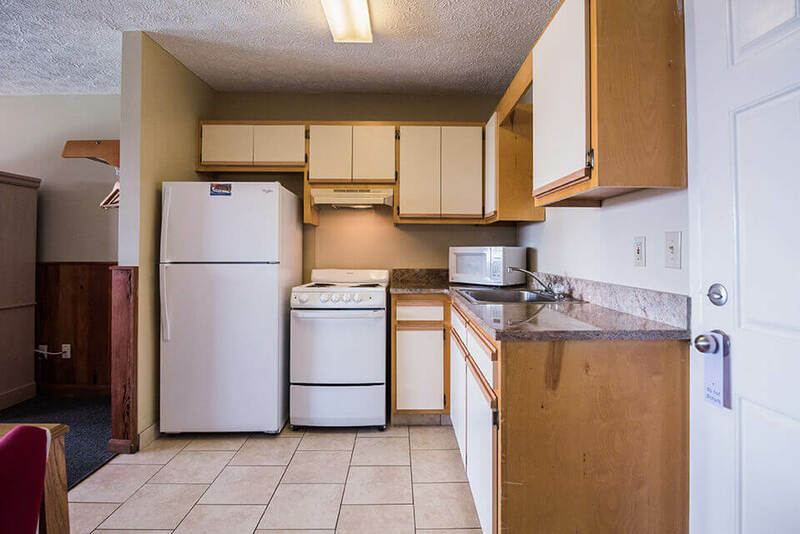 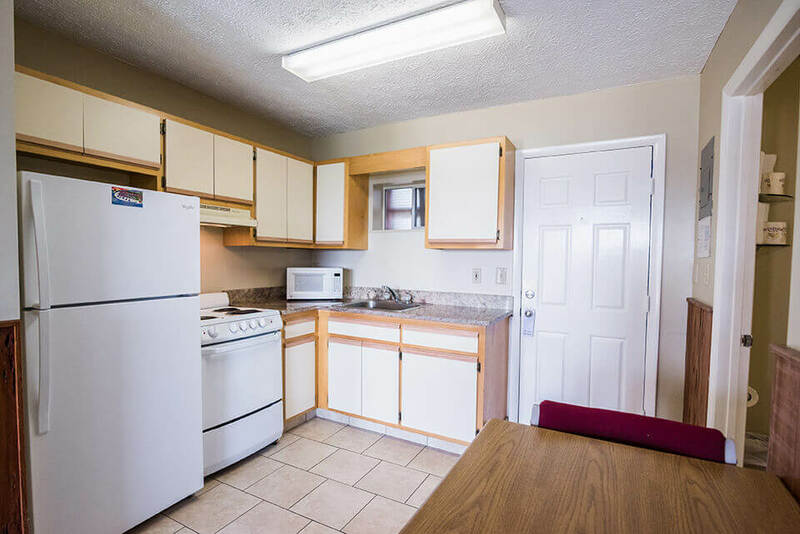 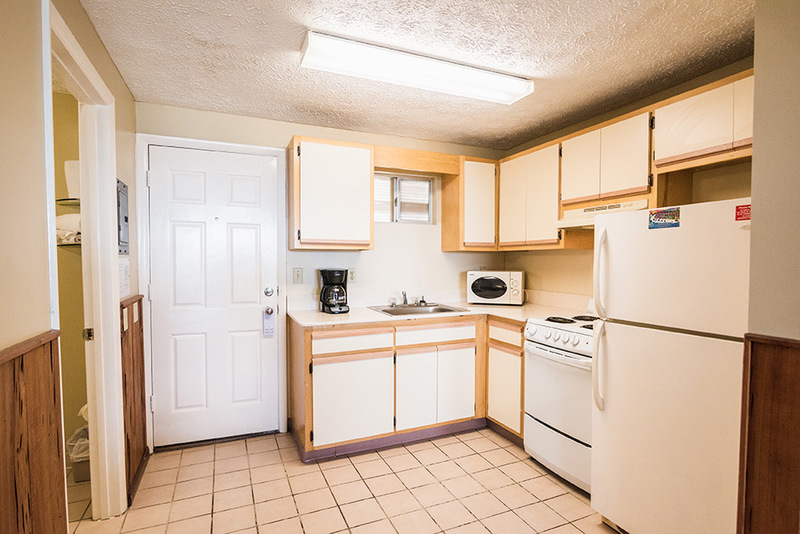 2 extra long full beds, refrigerator, microwave, wet bar, patio, 1st floor. 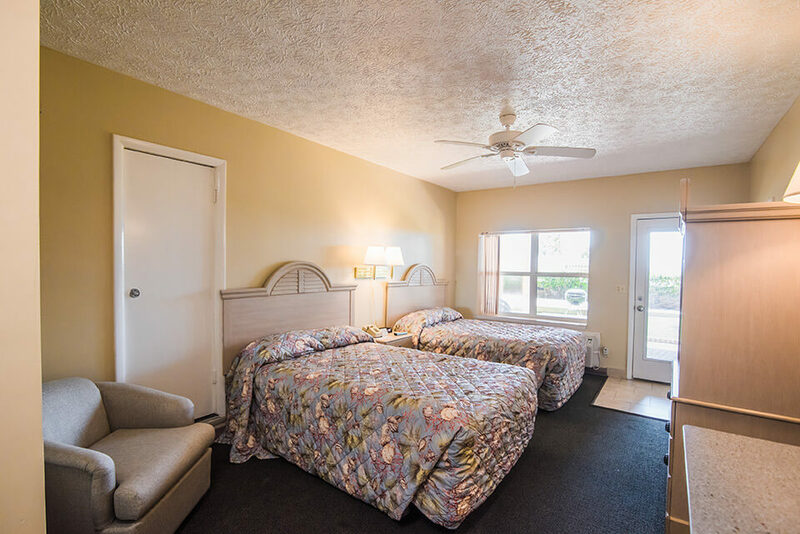 2 extra long full beds, sofa, kitchen, 1st floor patio. 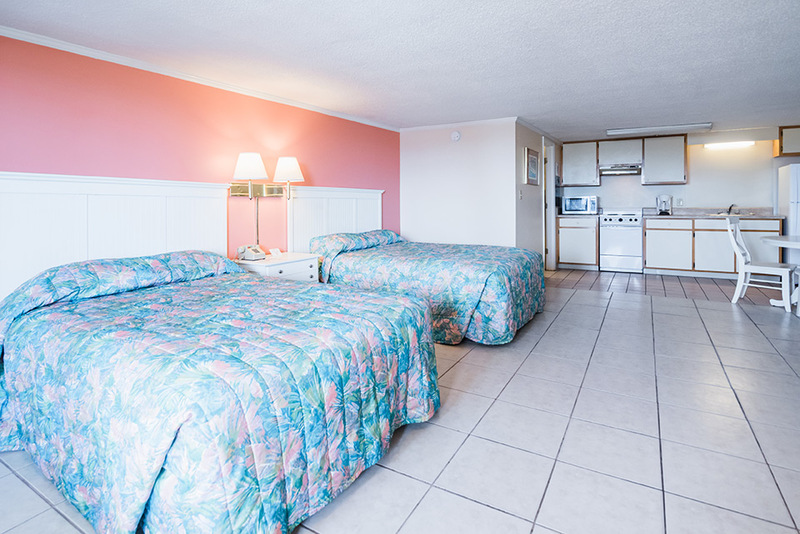 2 extra long full beds, sofa, kitchen, 2nd floor balcony. 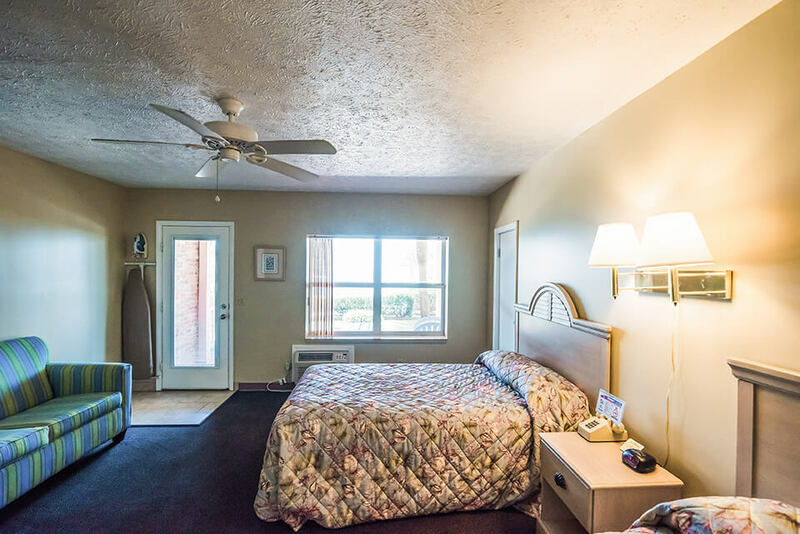 King bed in bedroom, kitchen, living room with sofa, balcony, 2nd floor. 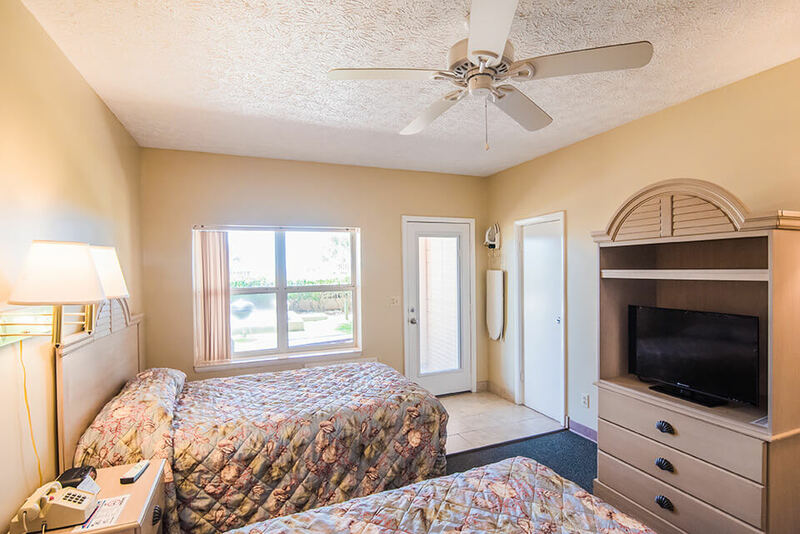 2 extra long full beds, kitchen, 1st floor patio. 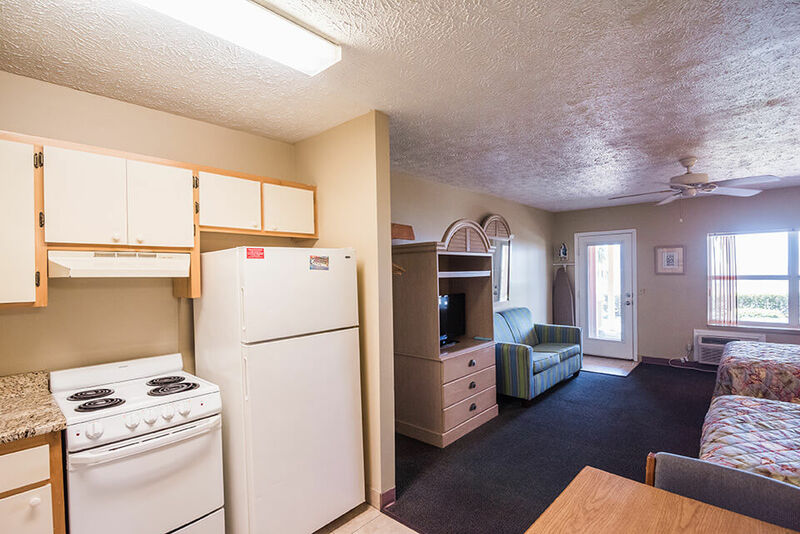 1 king bed, sofa, kitchen and balcony. 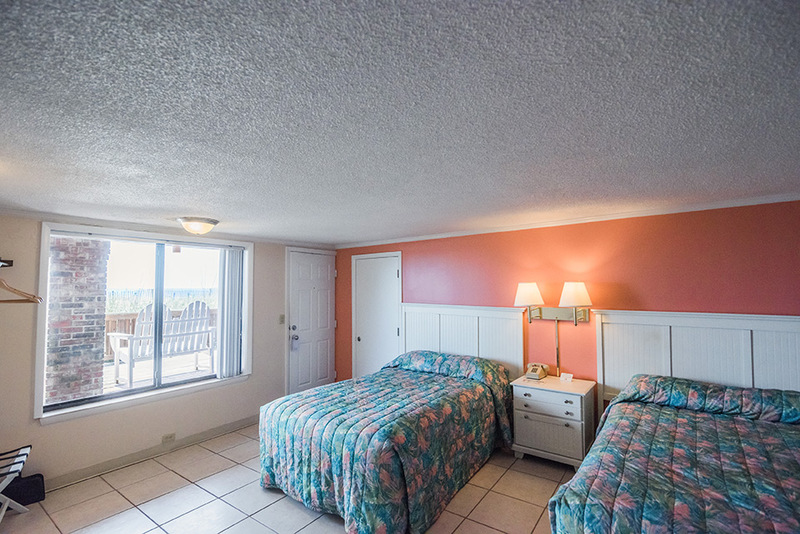 1 king size bed, fully equipped kitchen, gulf front private balcony. 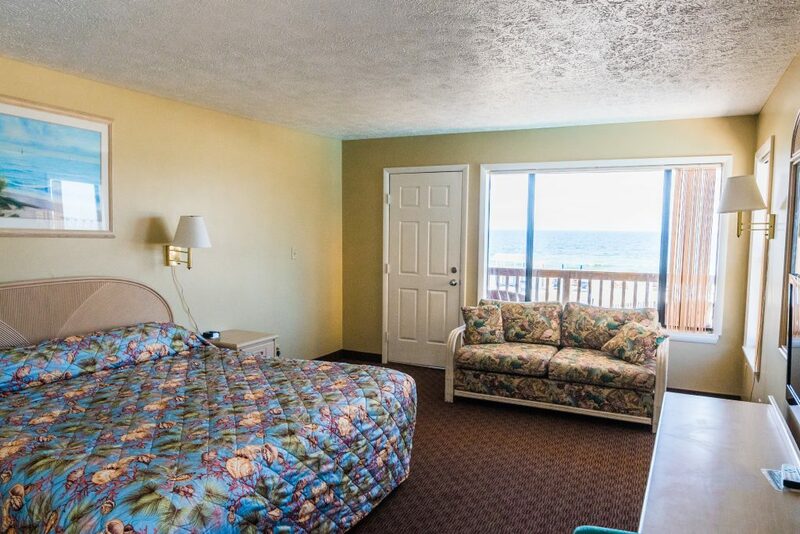 2 queen beds, fully equipped kitchen, gulf front private balcony. 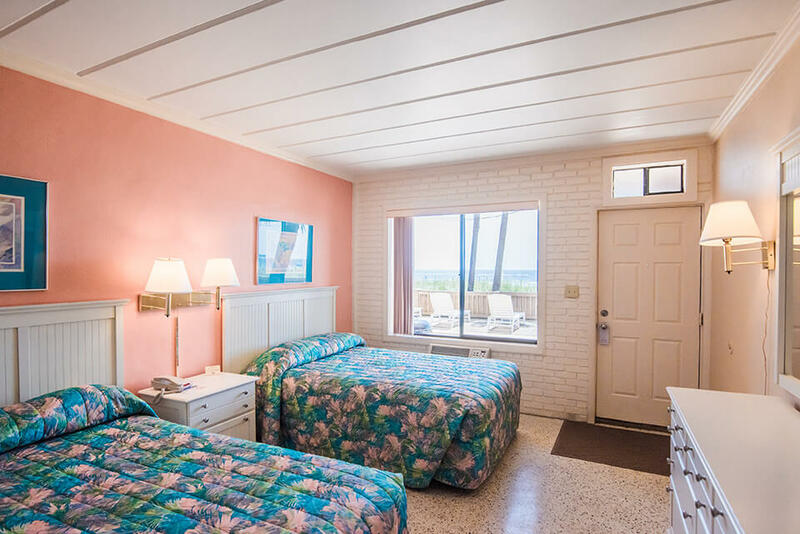 2 extra long double beds in bedroom, fully equipped kitchen, living room with kind size wall bed, large gulf front private balcony. 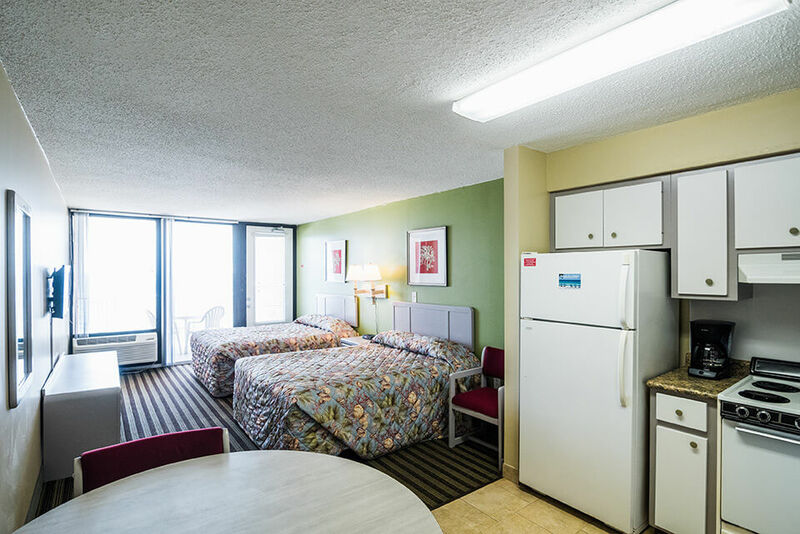 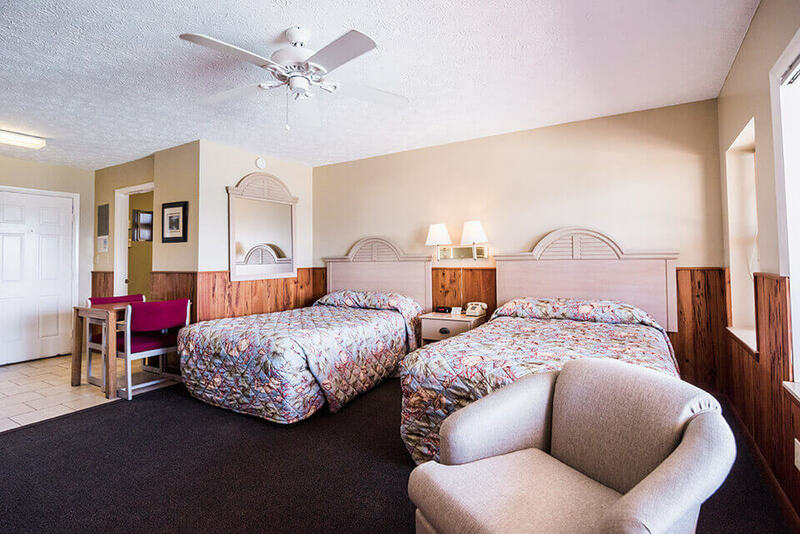 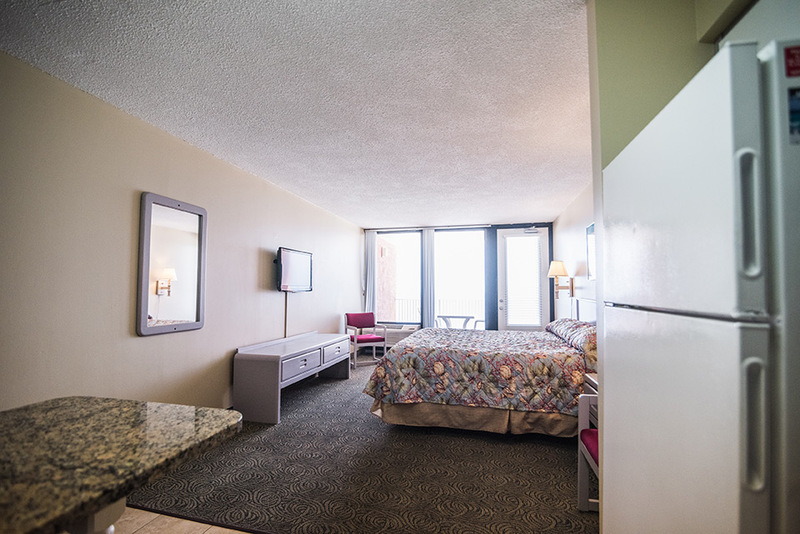 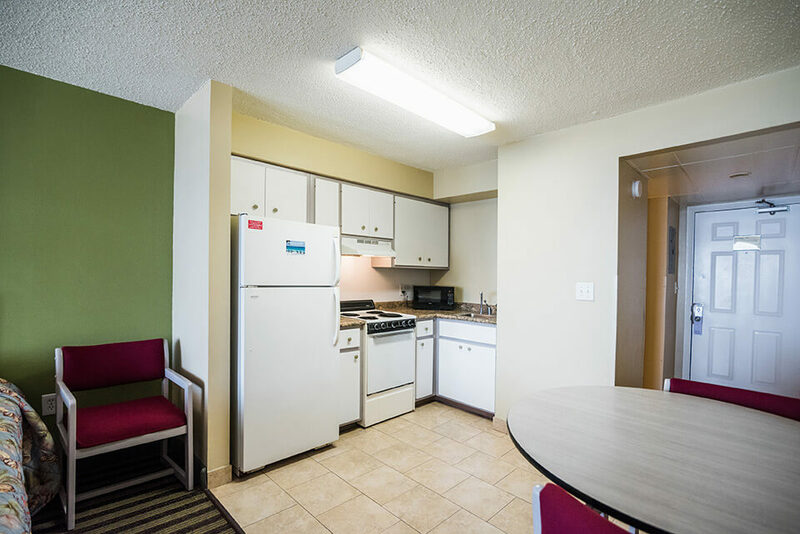 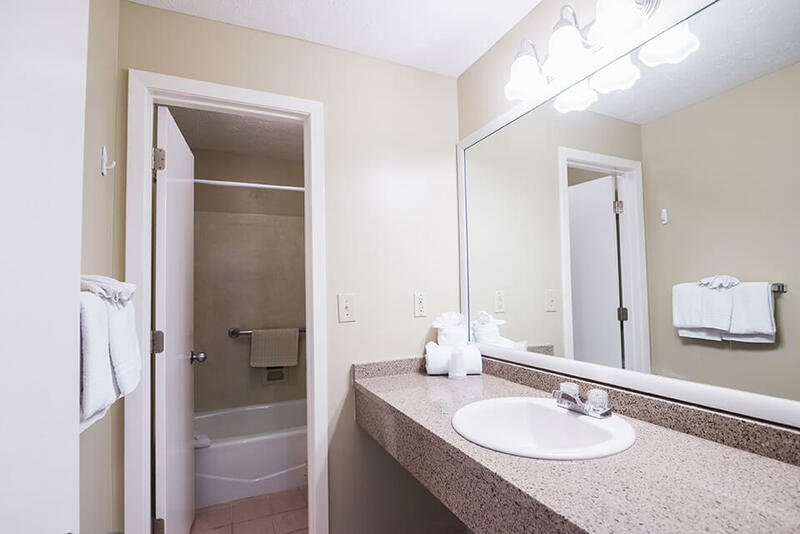 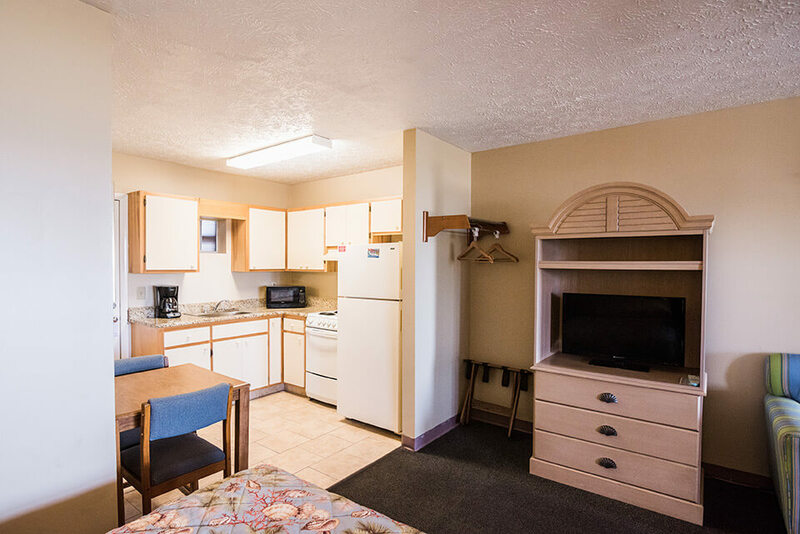 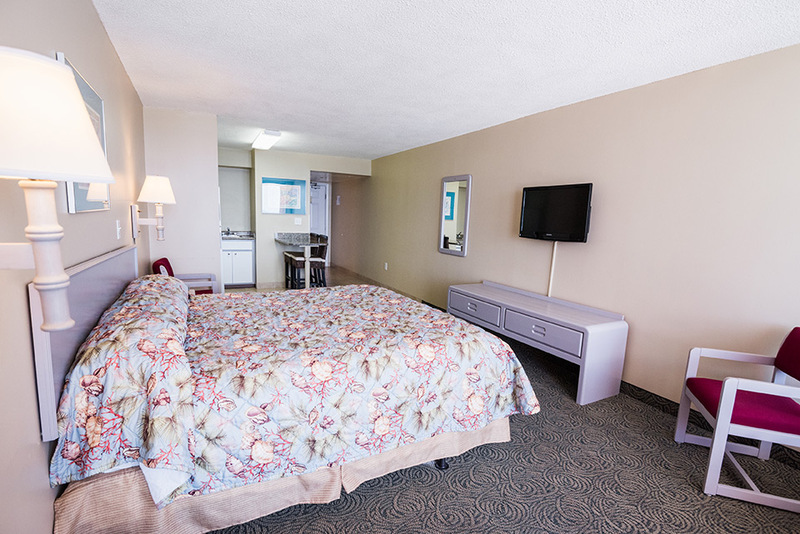 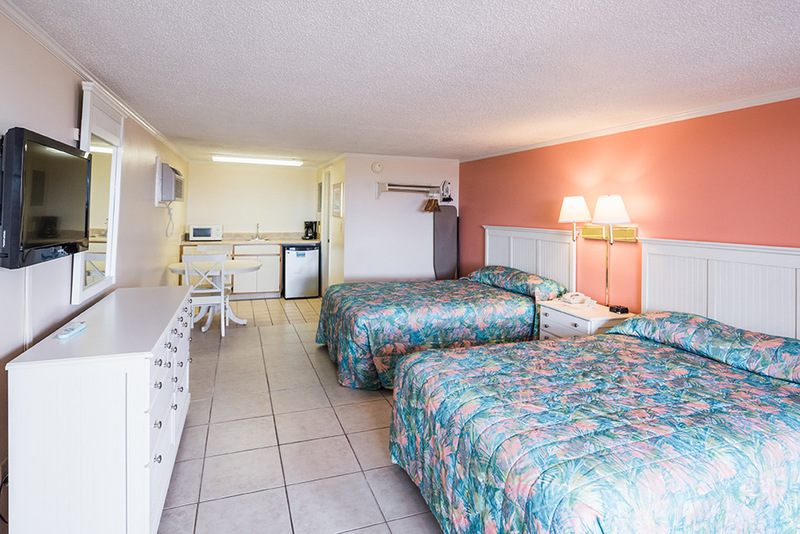 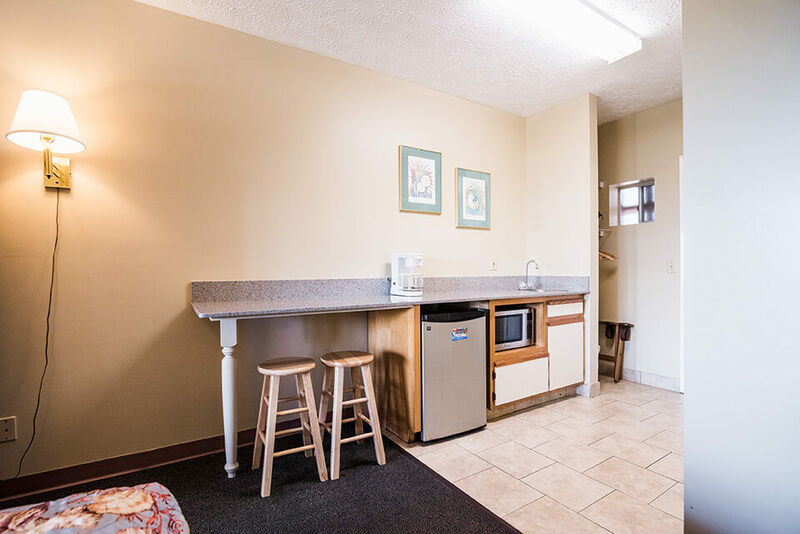 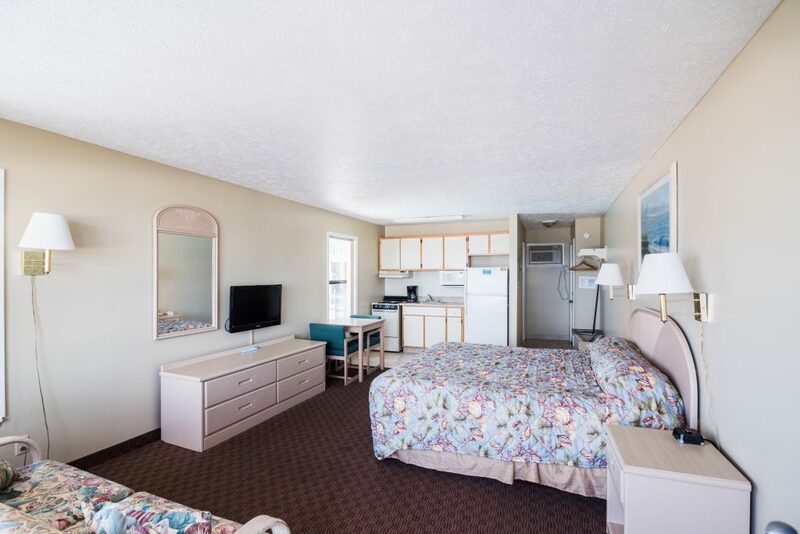 Mobility accessible non-smoking room, features: 425 sq ft room with 1 king size bed. 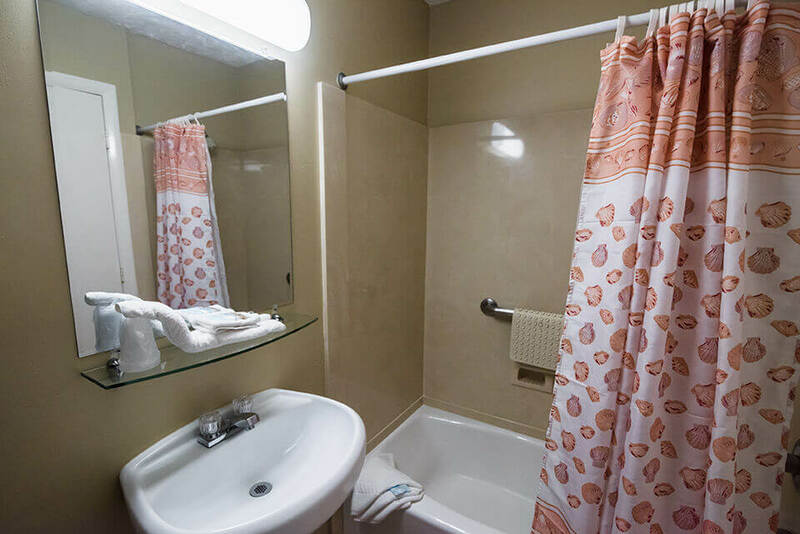 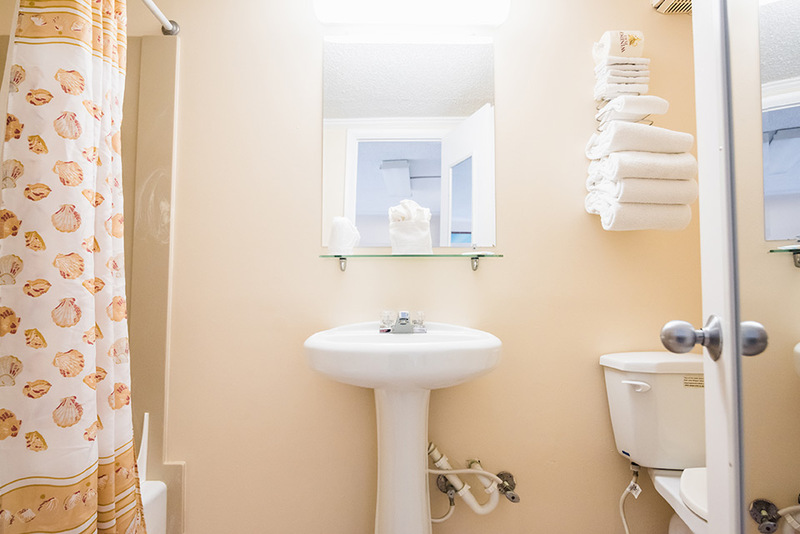 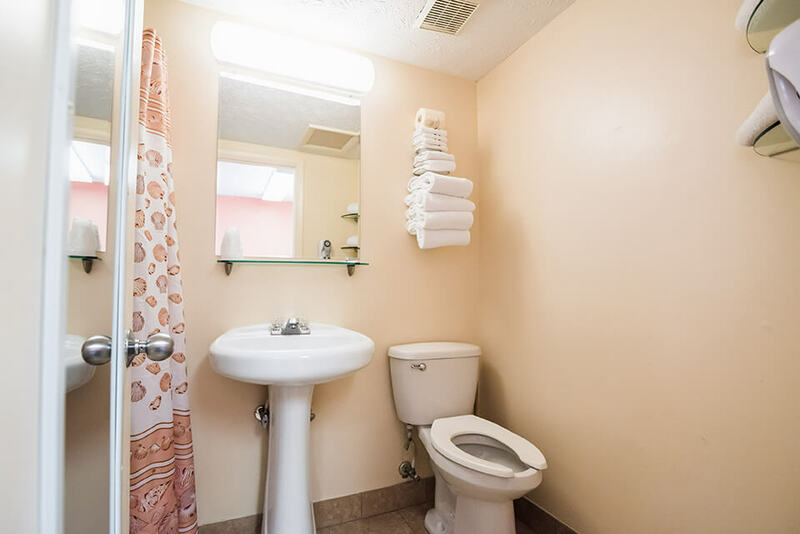 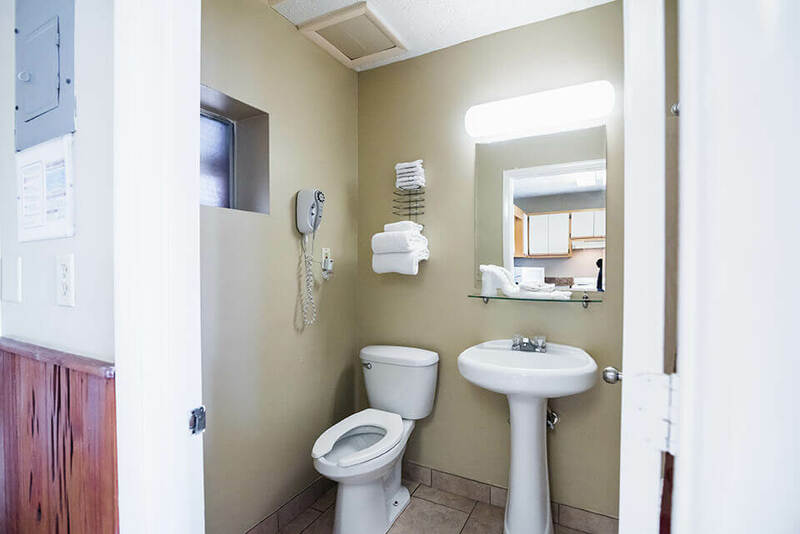 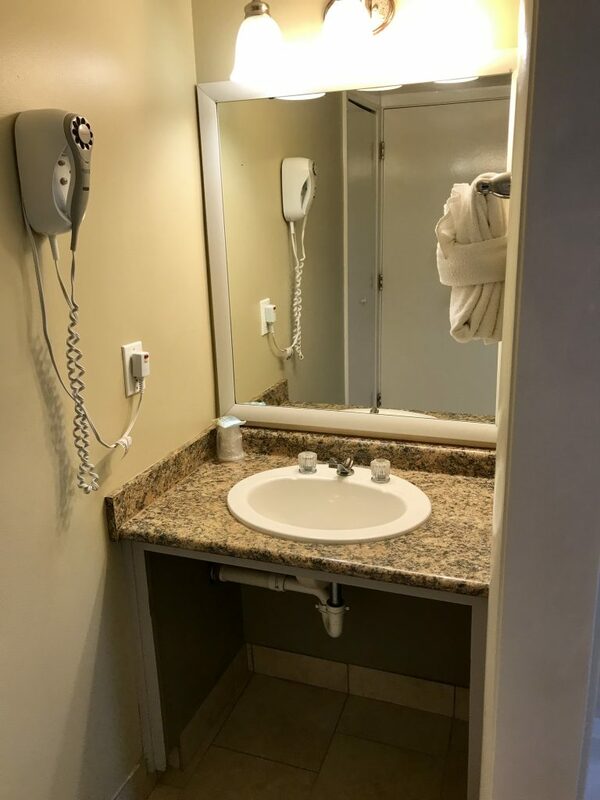 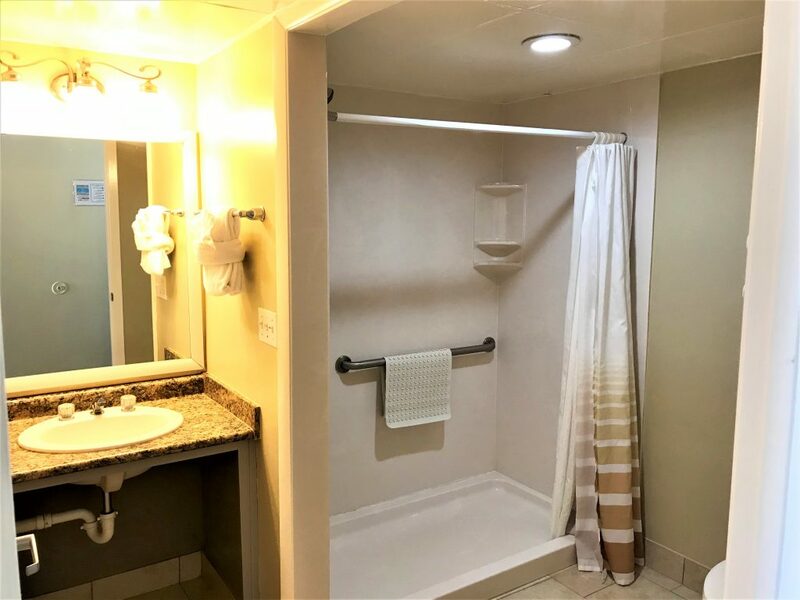 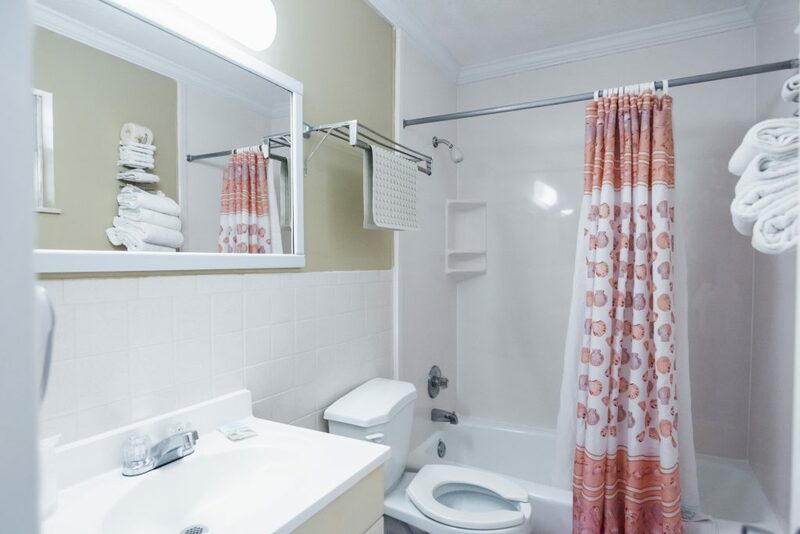 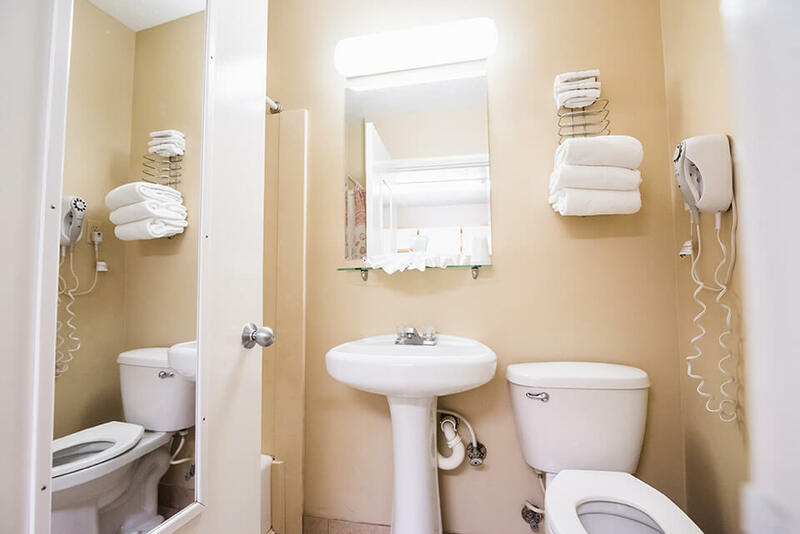 This room has the convenience of space, grab bars, raised toilet, roll in shower. 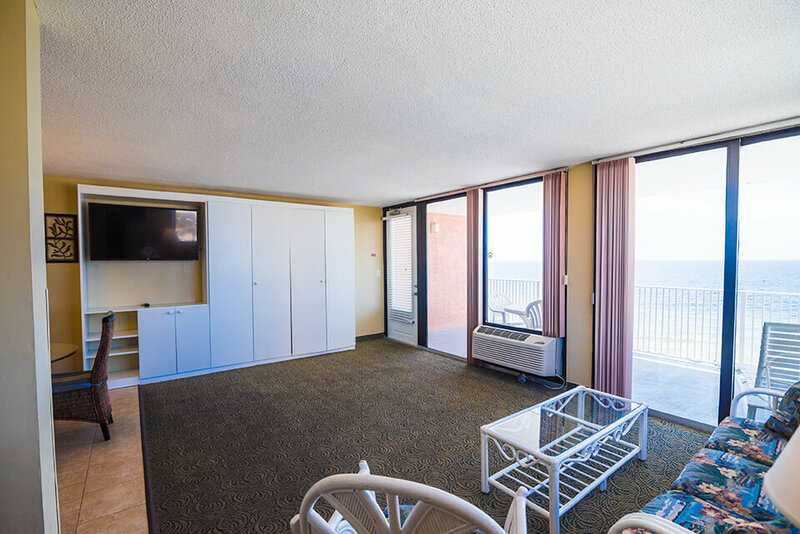 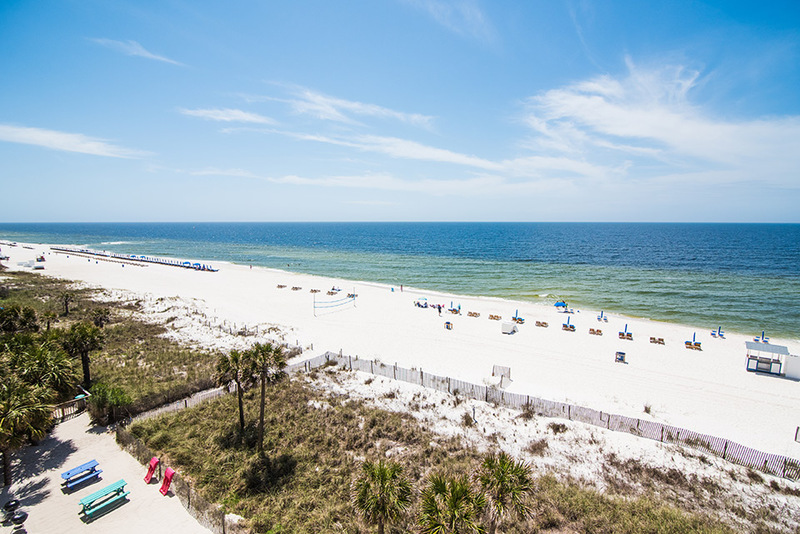 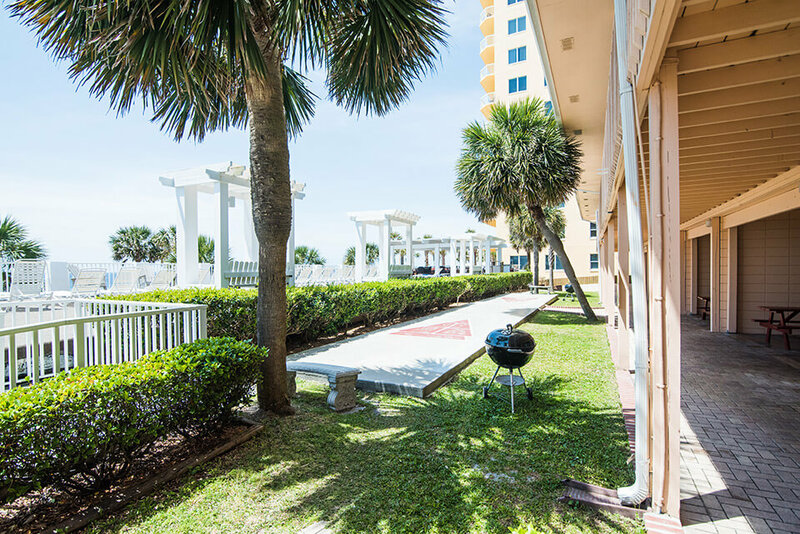 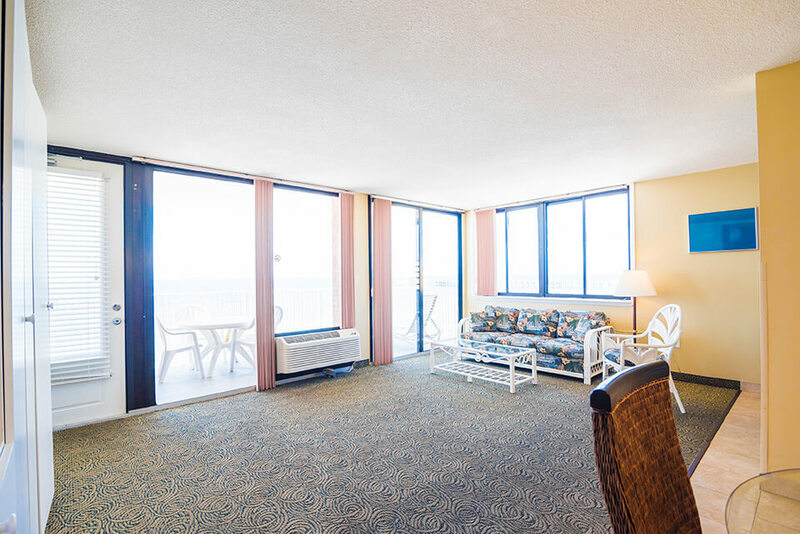 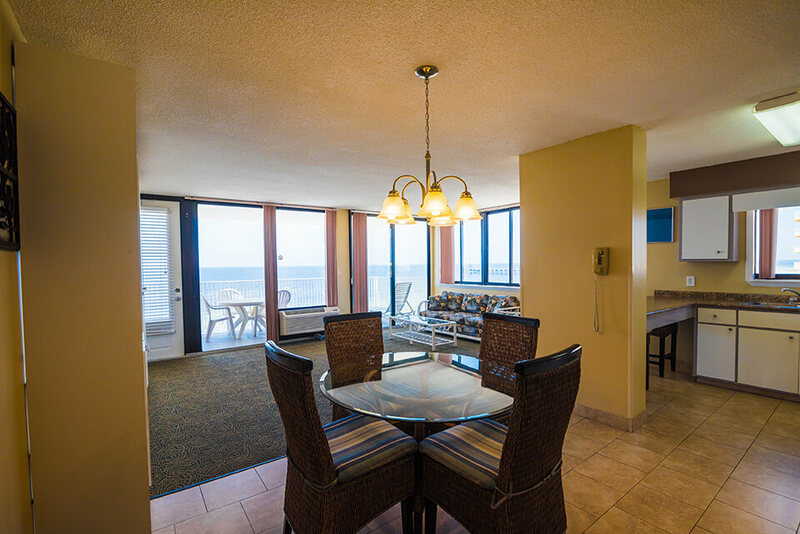 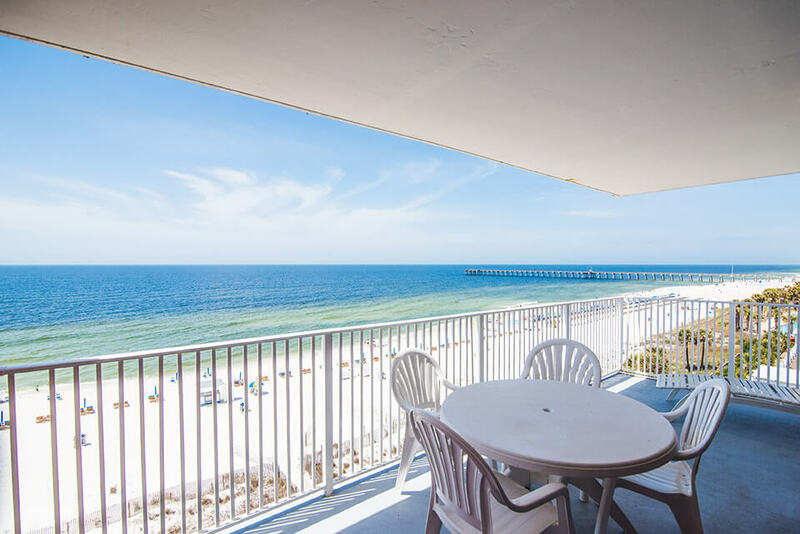 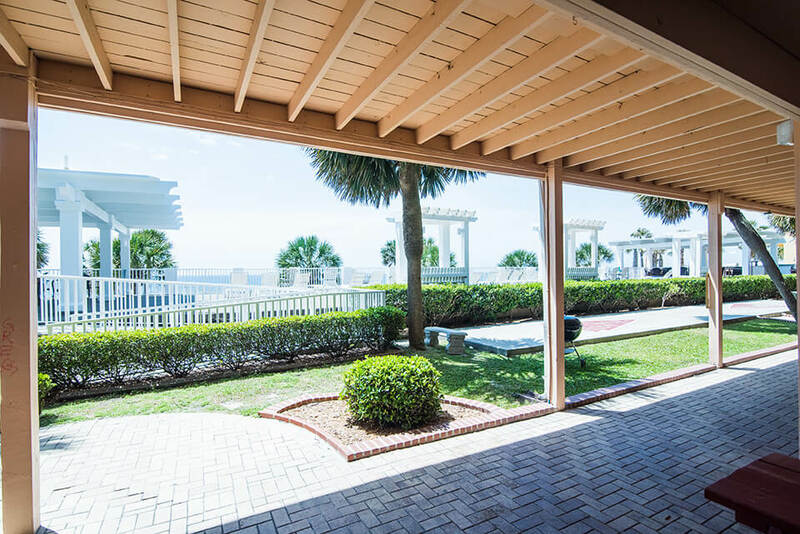 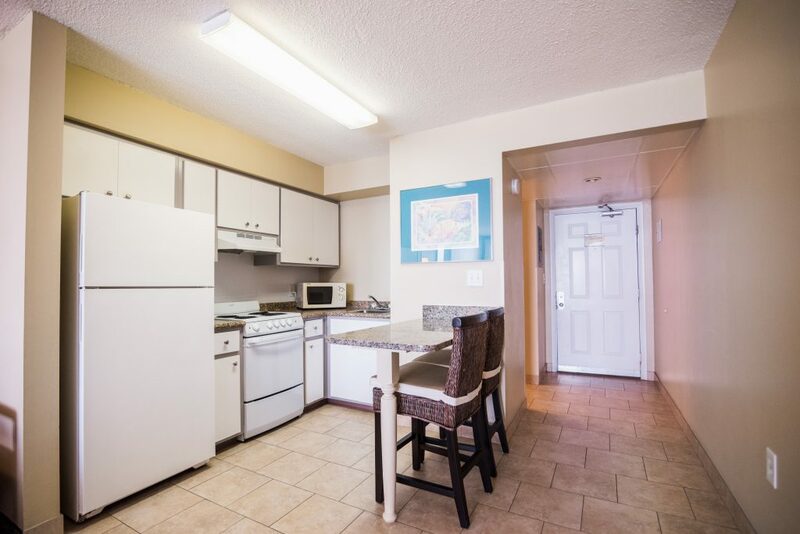 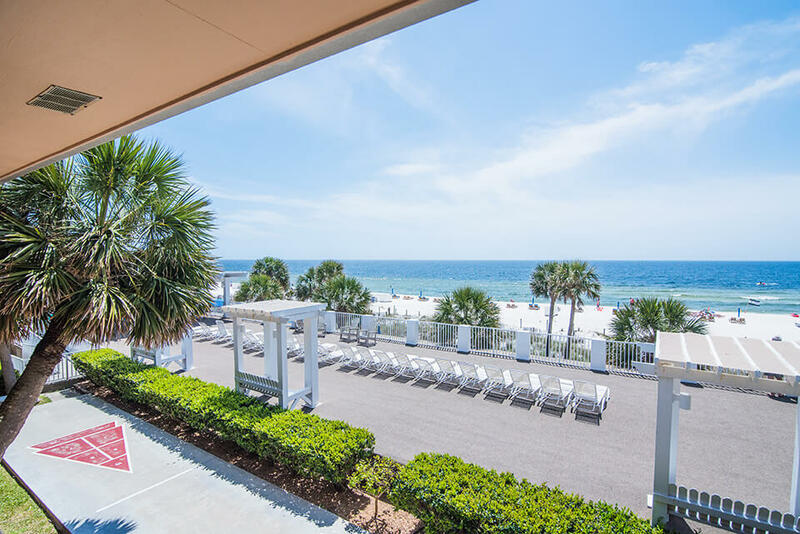 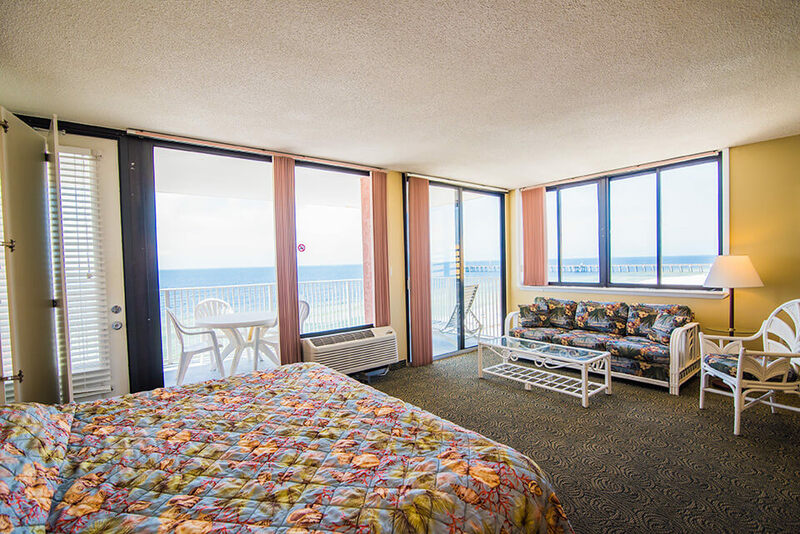 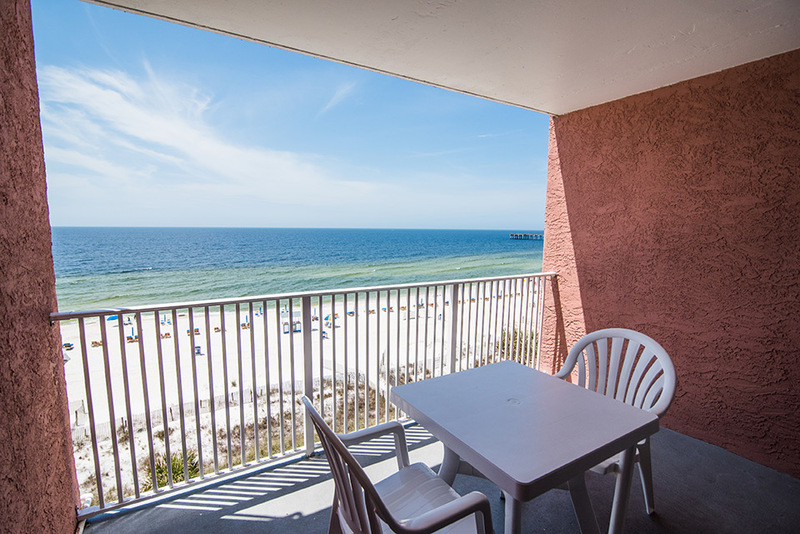 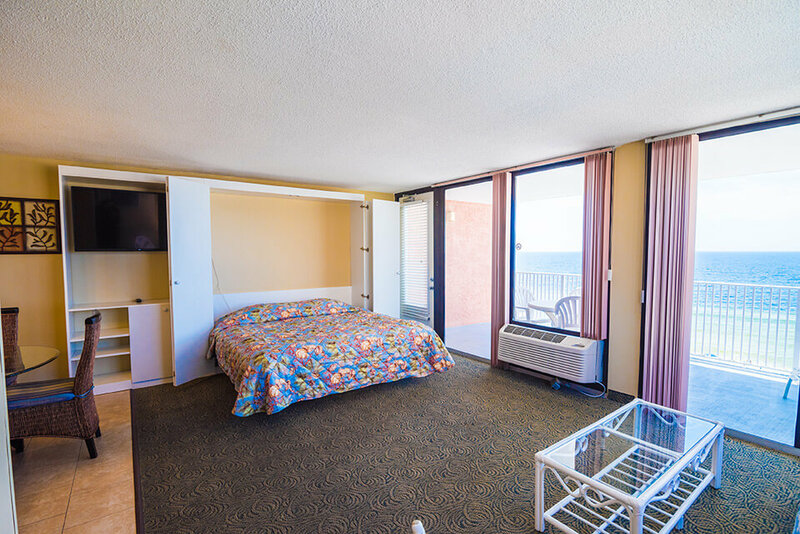 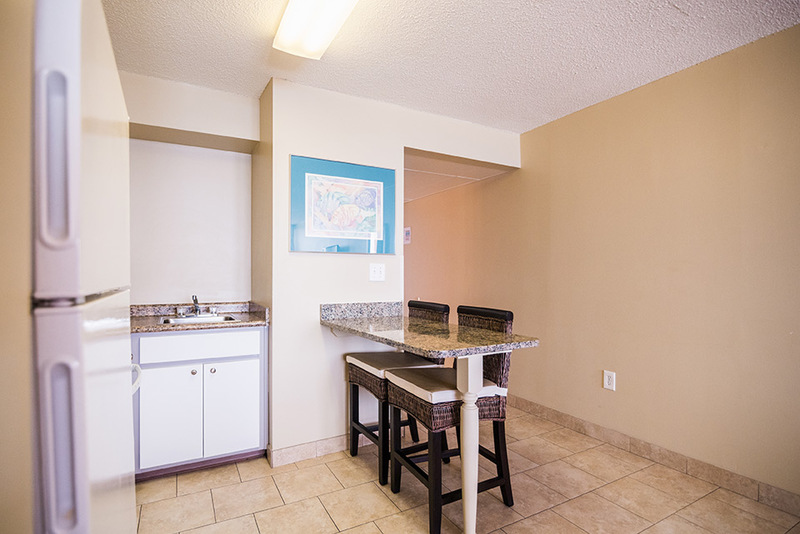 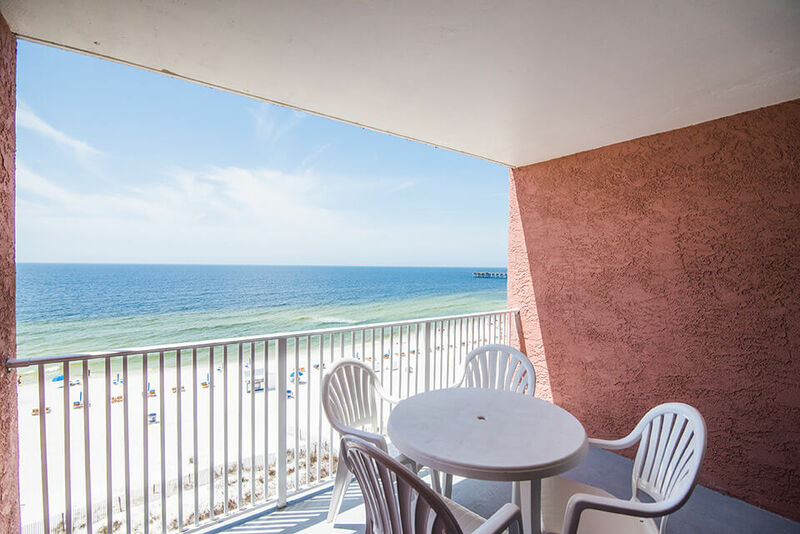 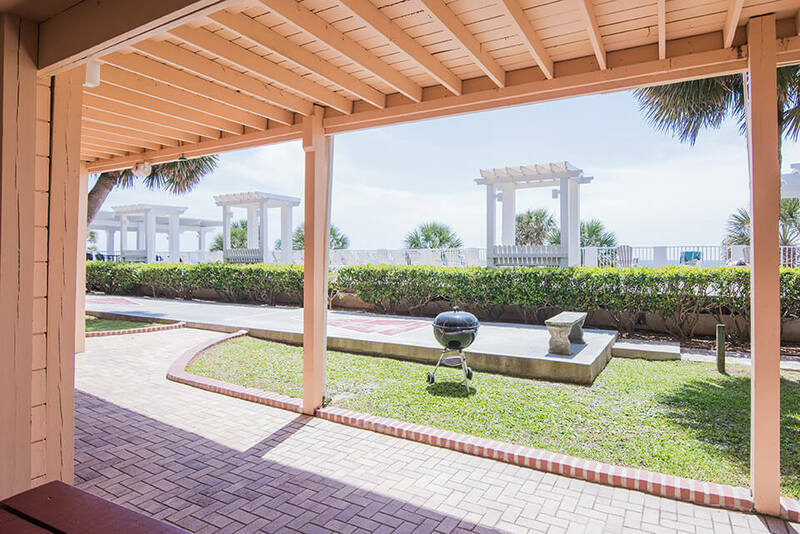 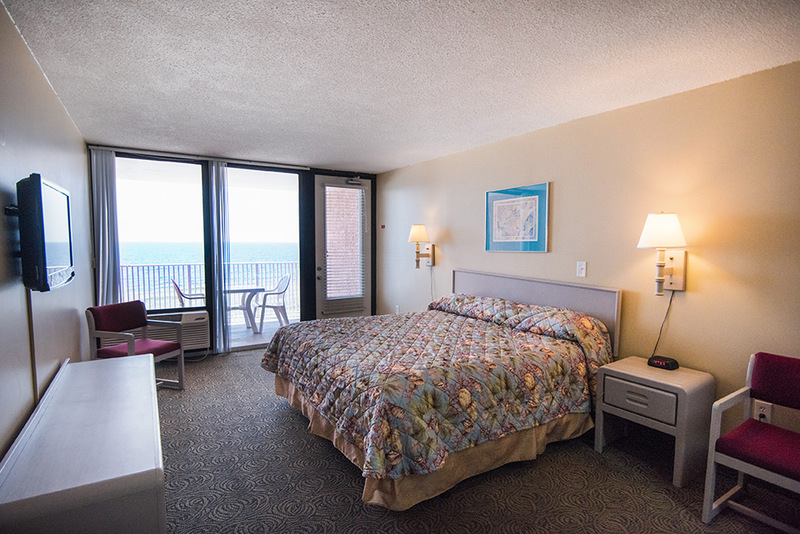 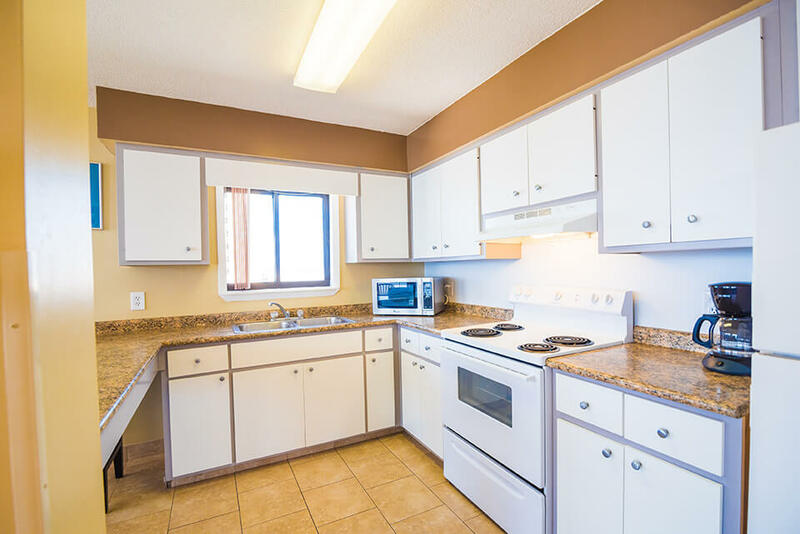 Room features fully equipped kitchen, ceiling to floor view and private Gulf front balcony. 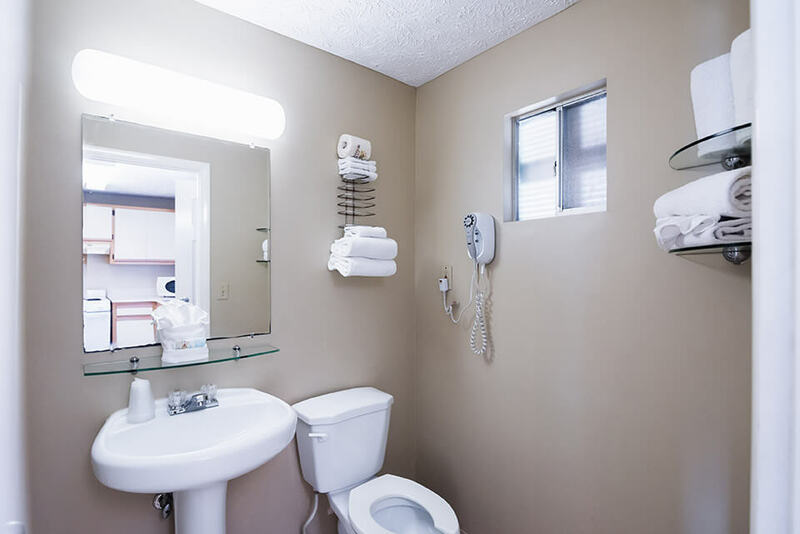 Pictures may not reflect the specific room type or room feature. 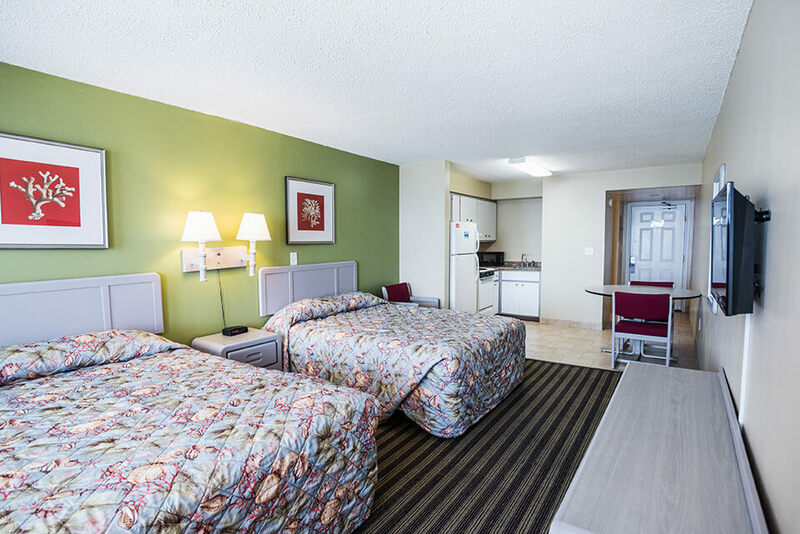 Deposit Policy: A deposit of 2 nights plus tax will be billed to your credit card at the time of booking. 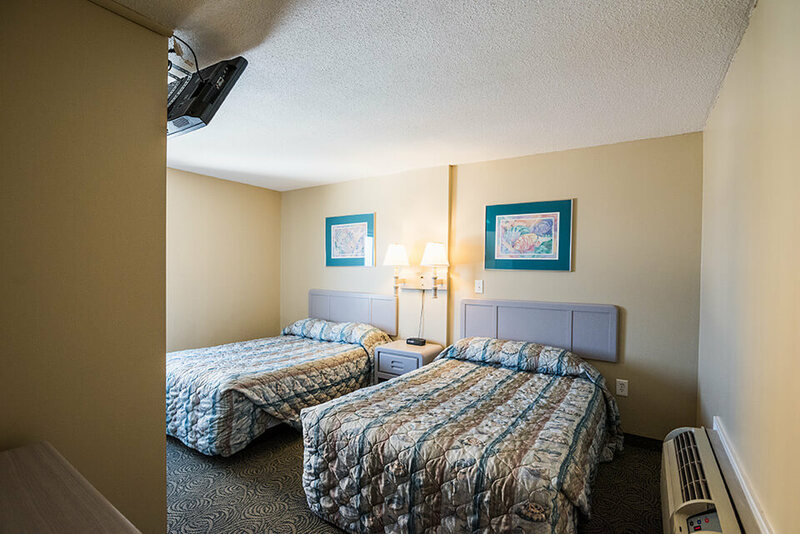 Cancellation Policy: Reservations must be cancelled more than 2 weeks prior to arrival for deposit refund. 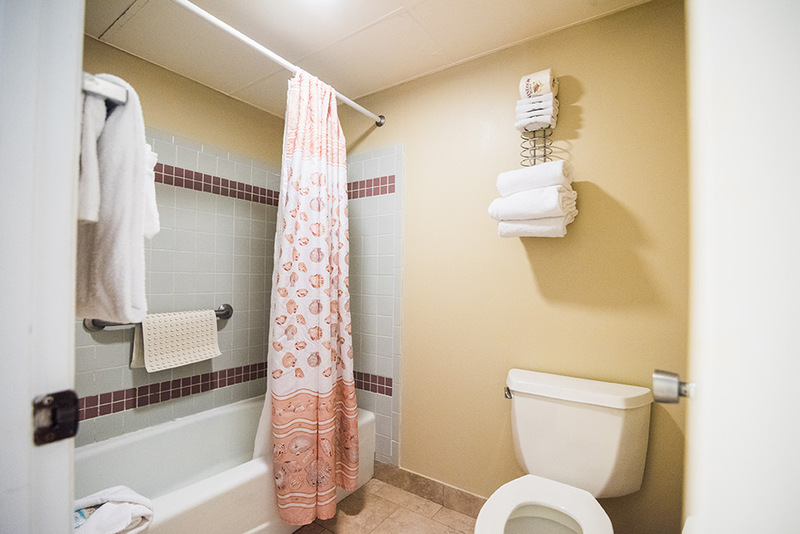 All cancellations and changes are subject to a $20 fee. 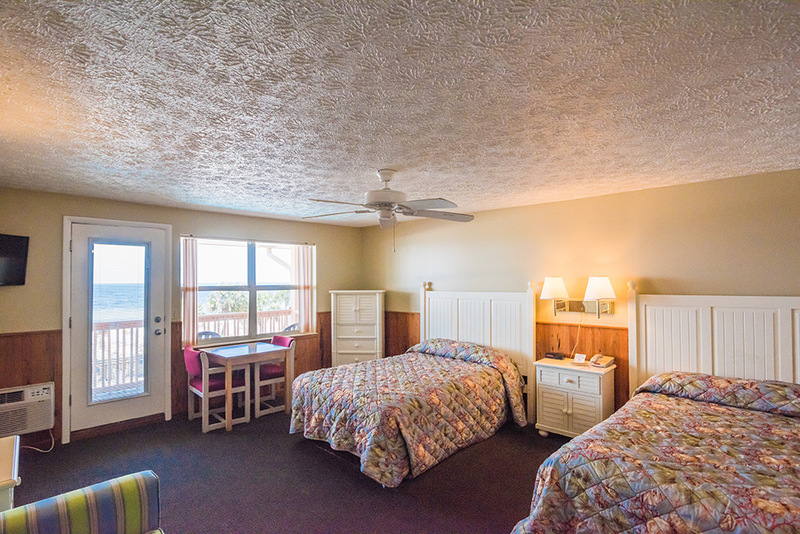 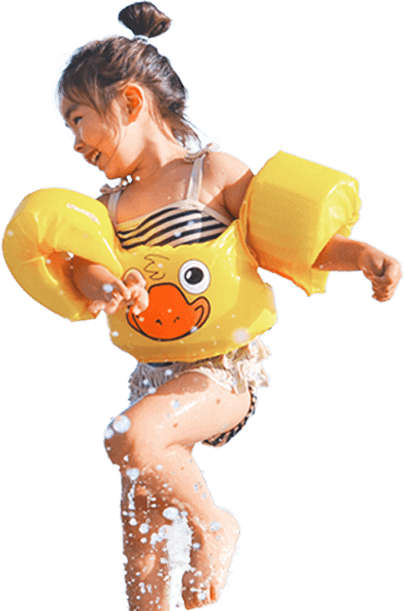 Minimum Age Rental: All members of nonfamily groups must be a minimum of 25 year old. 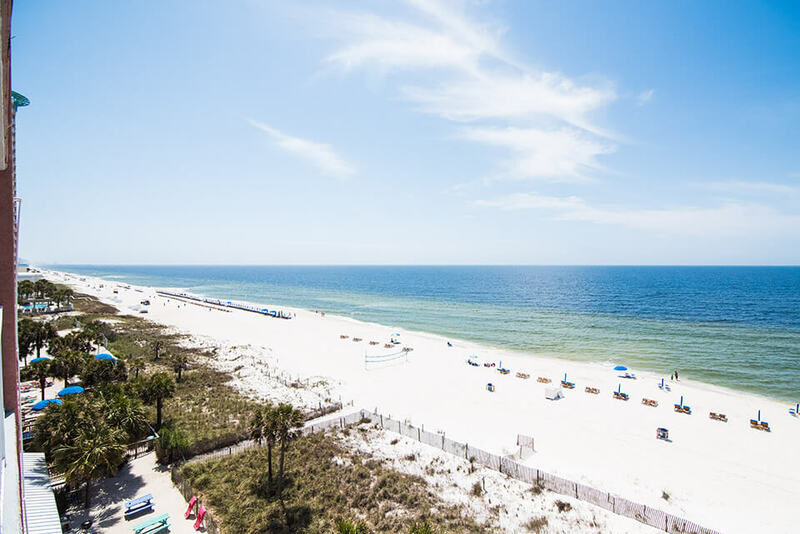 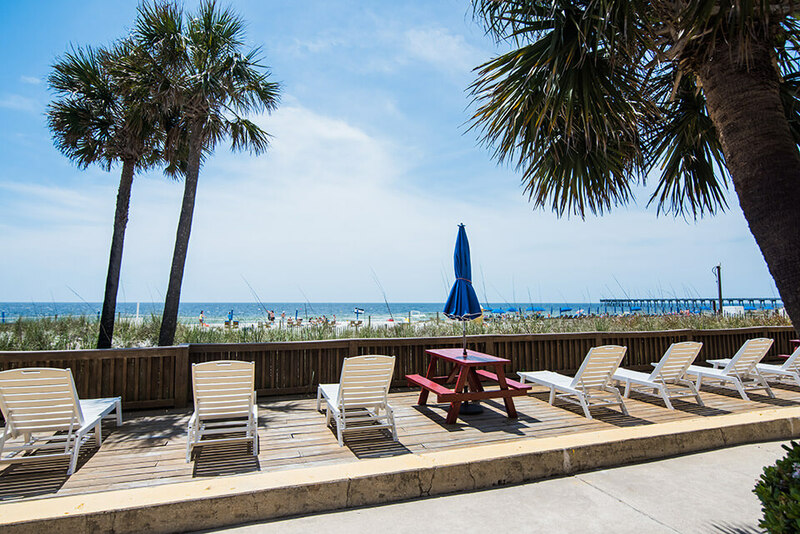 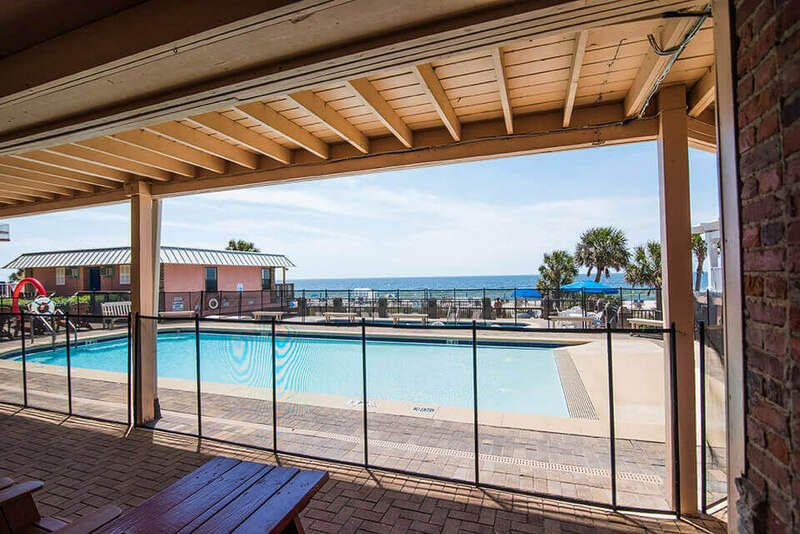 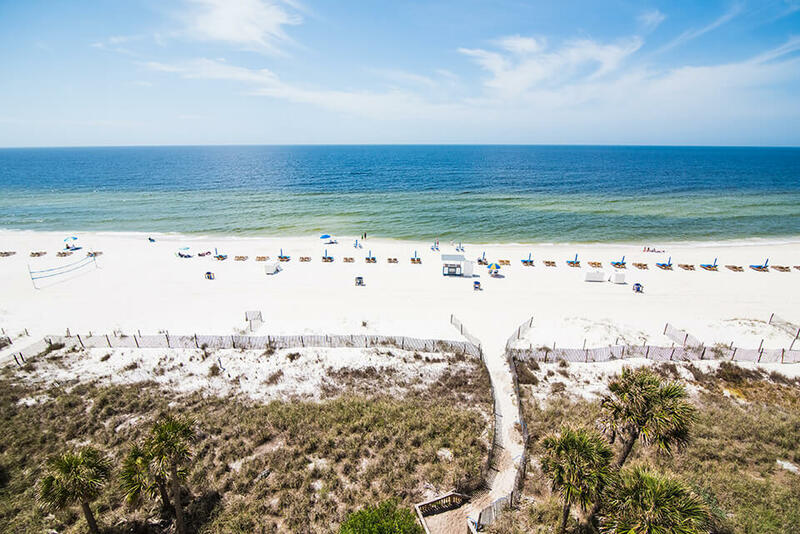 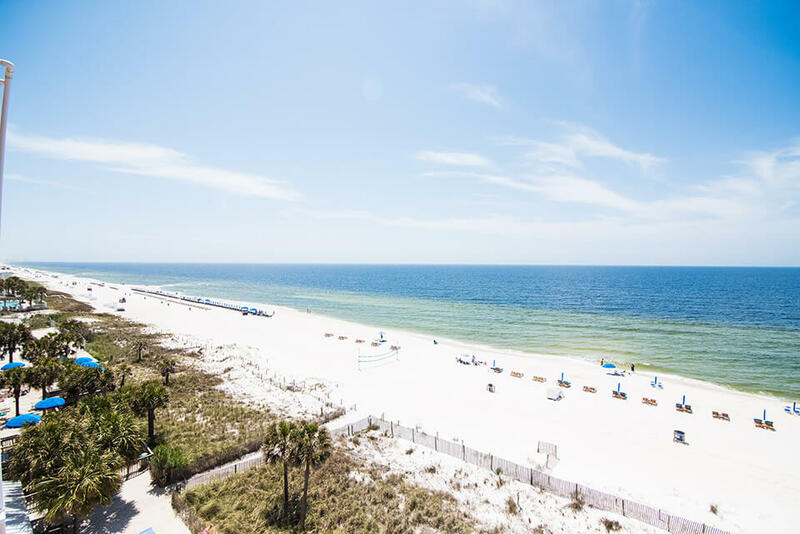 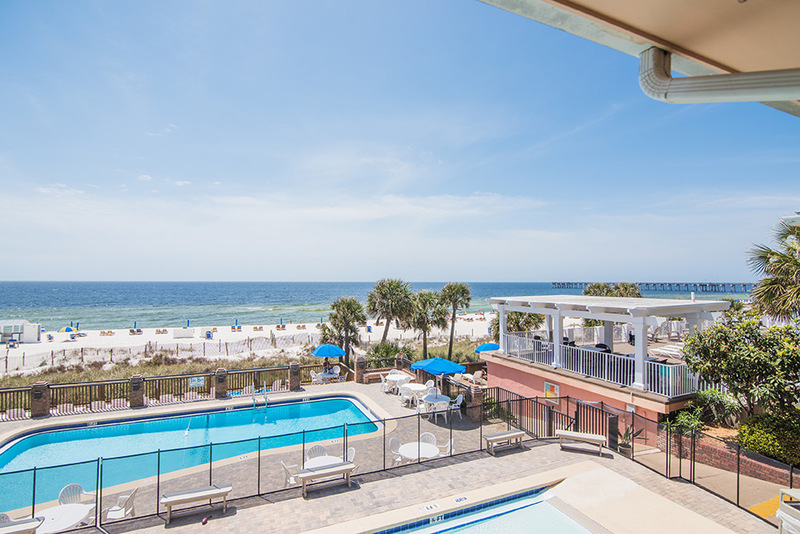 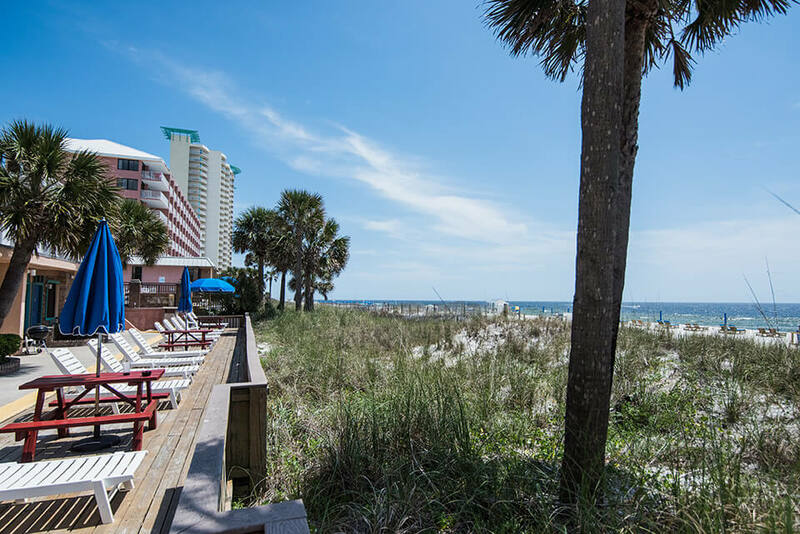 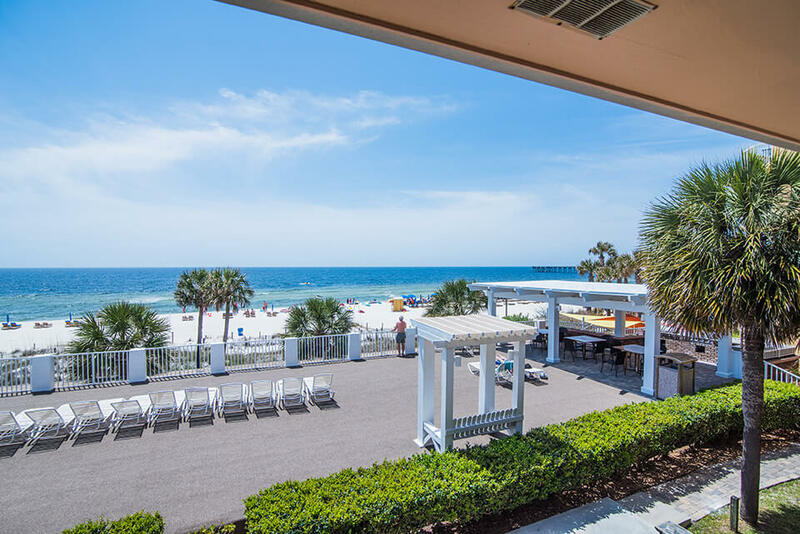 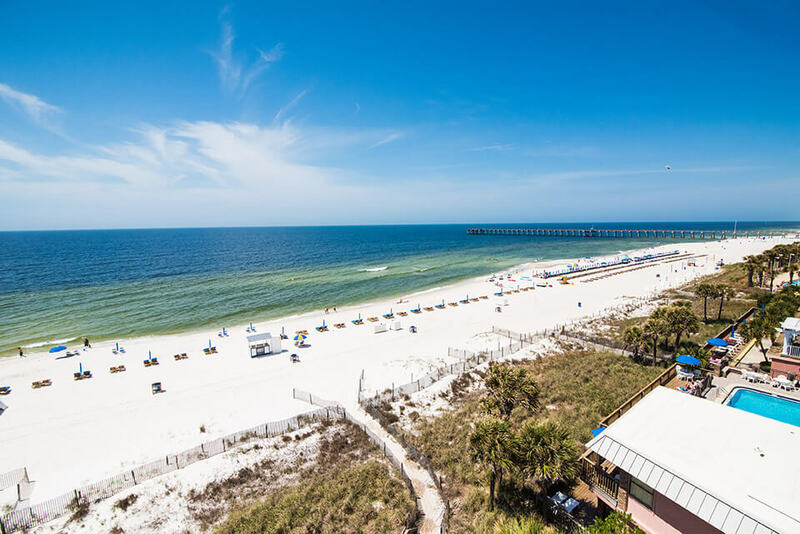 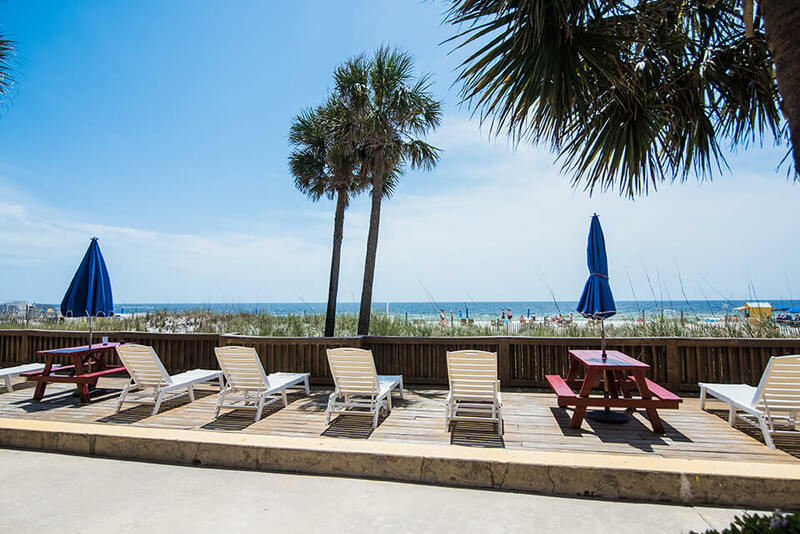 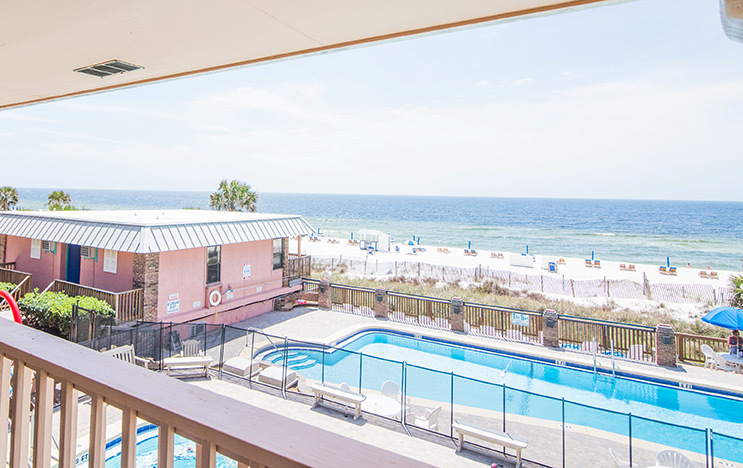 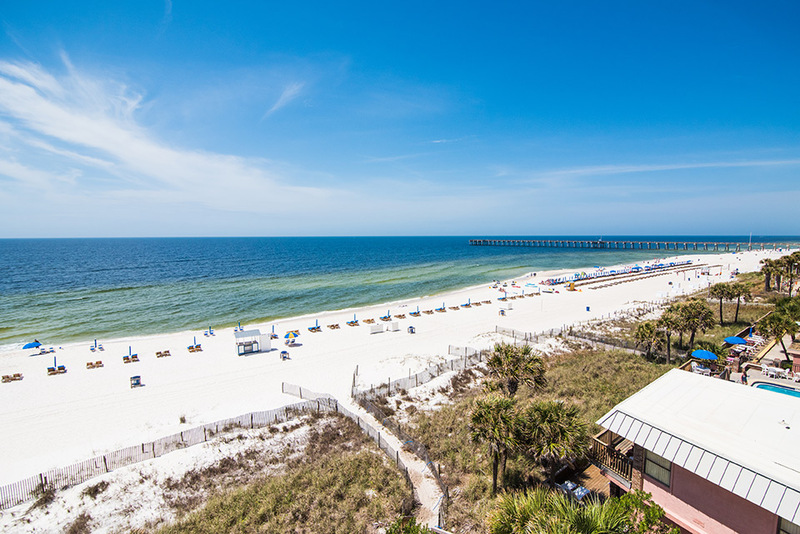 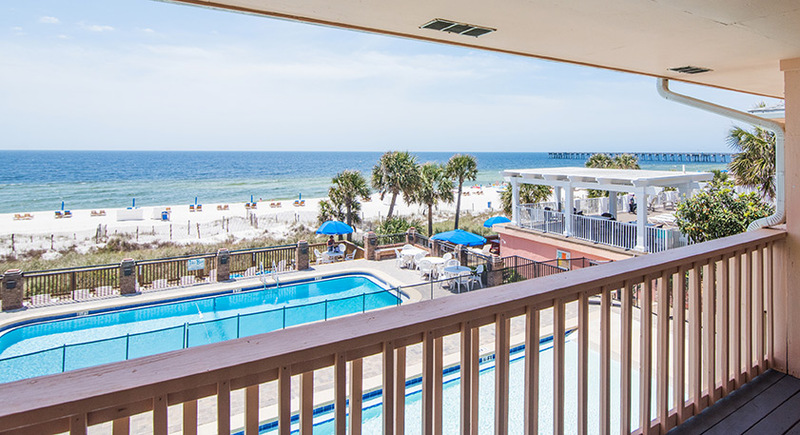 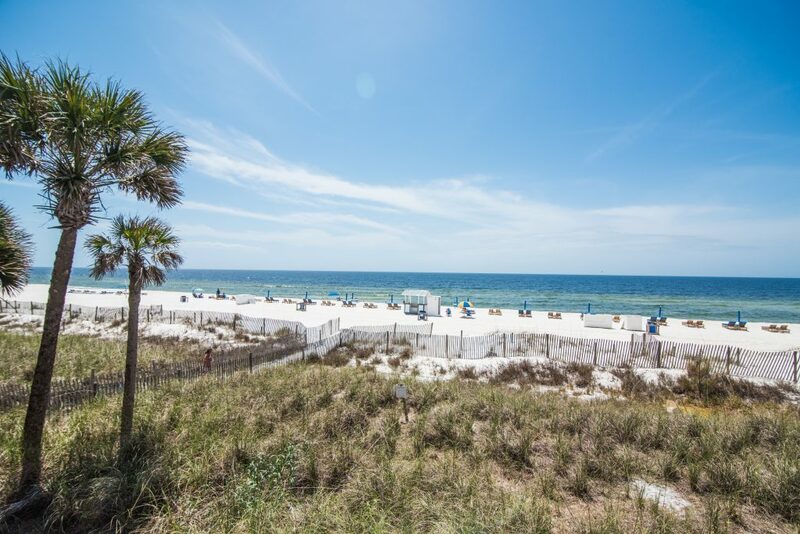 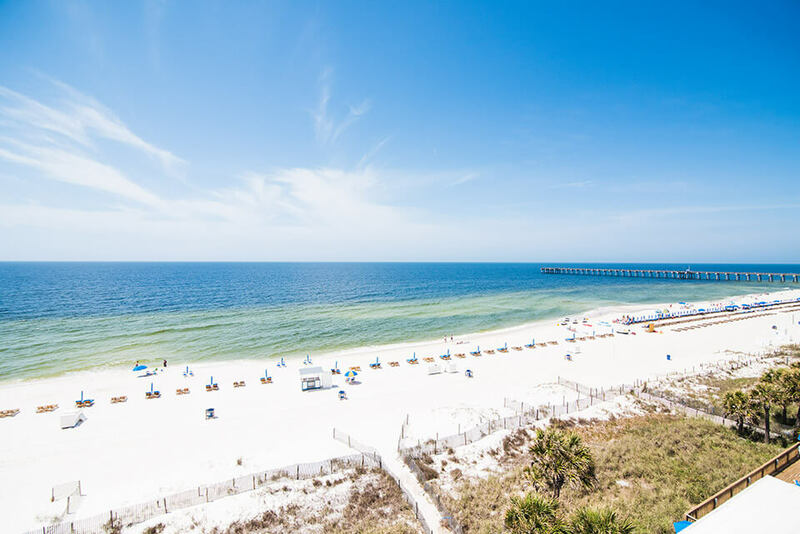 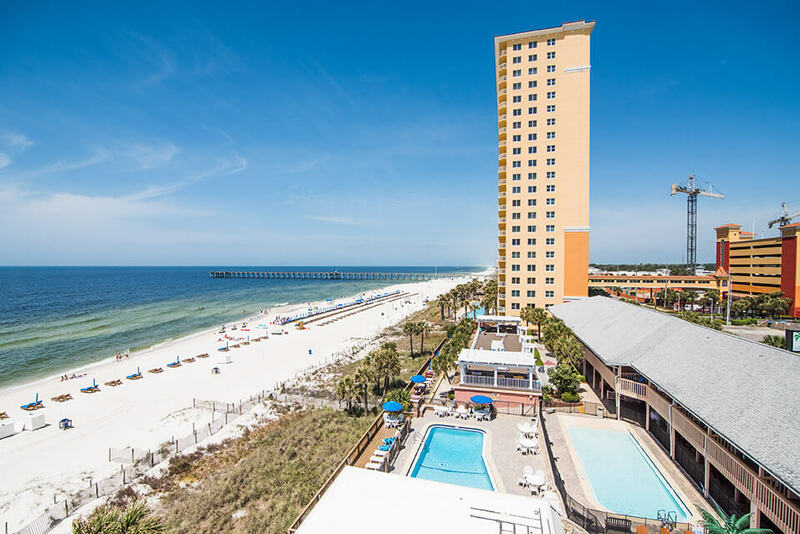 If Panama City Beach is under a hurricane watch or warning, within 48 hours of your arrival date, the reservation deposit can be transferred to another stay within 60 days of the orginal reservation. 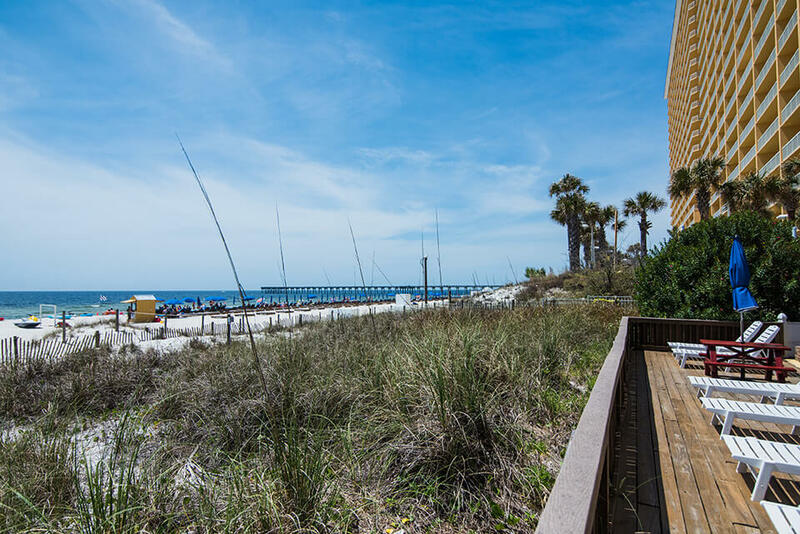 If a mandatory evacuation order is issued for Panama City Beach the deposit will be refunded.